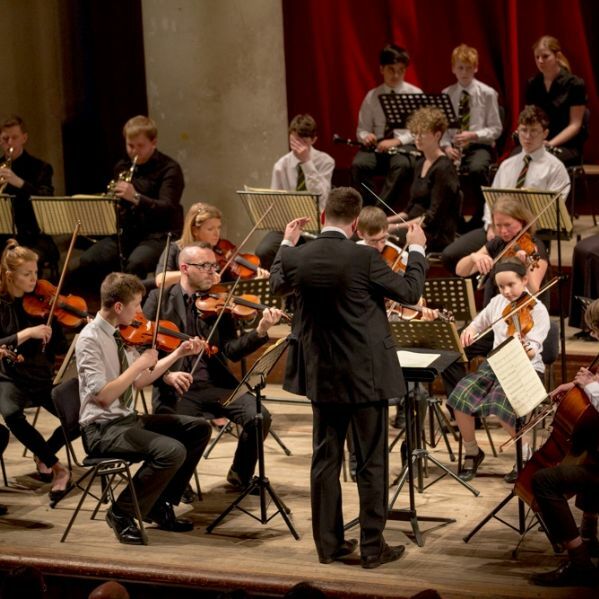 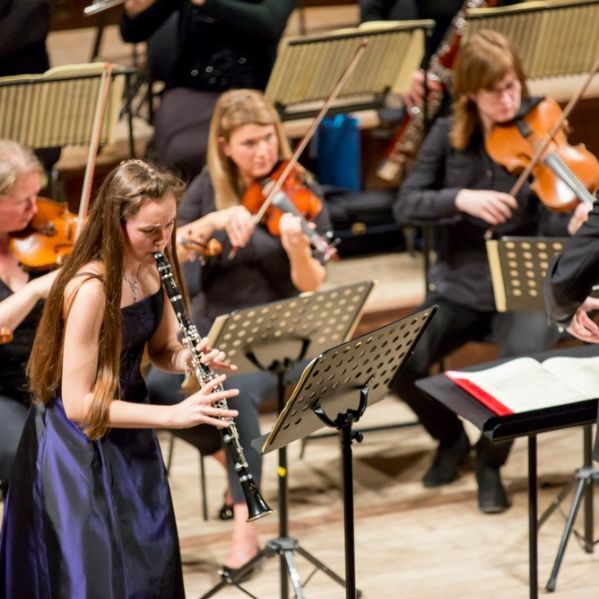 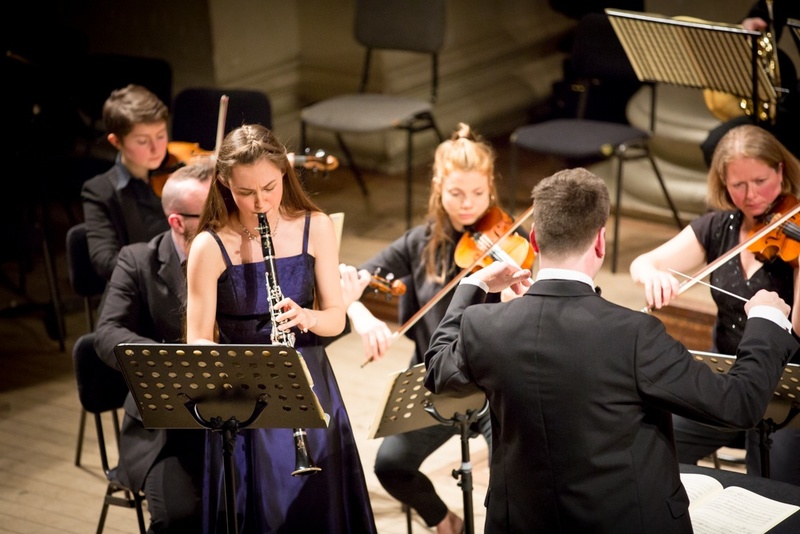 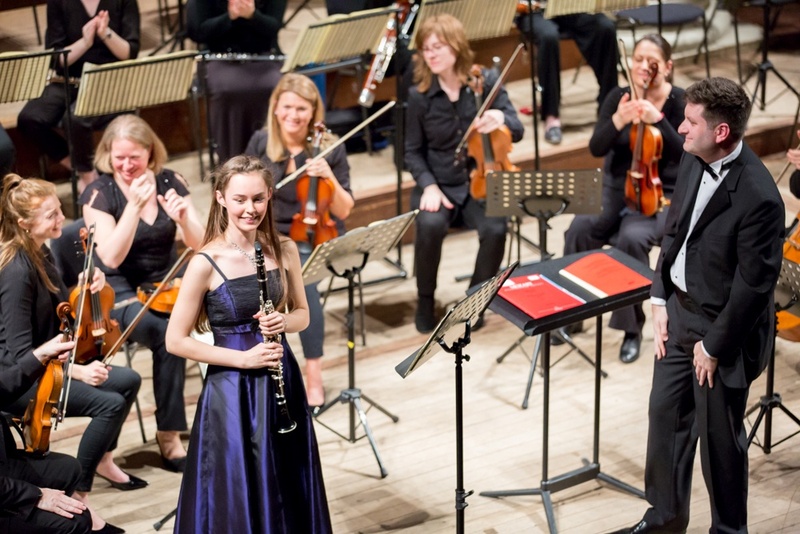 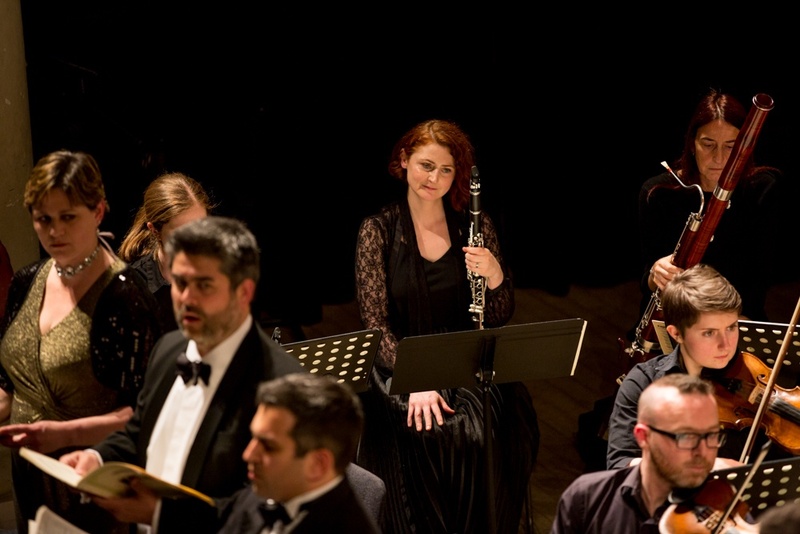 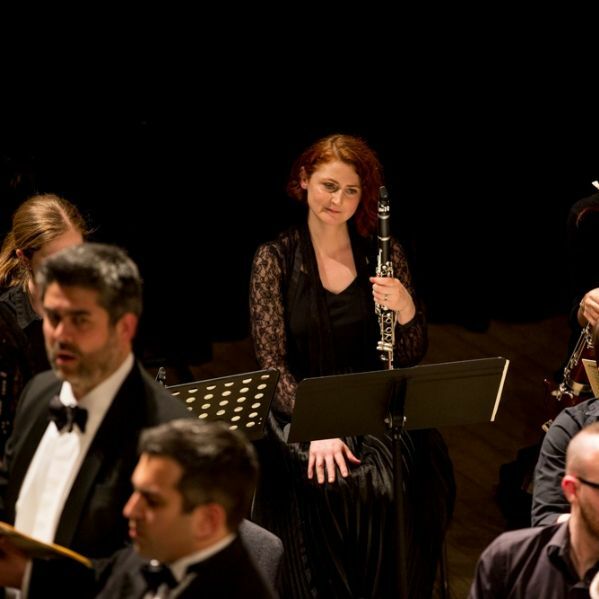 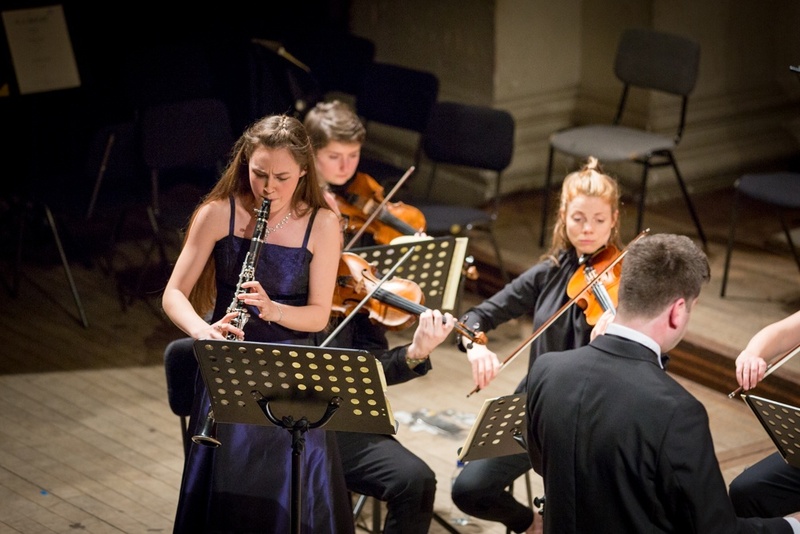 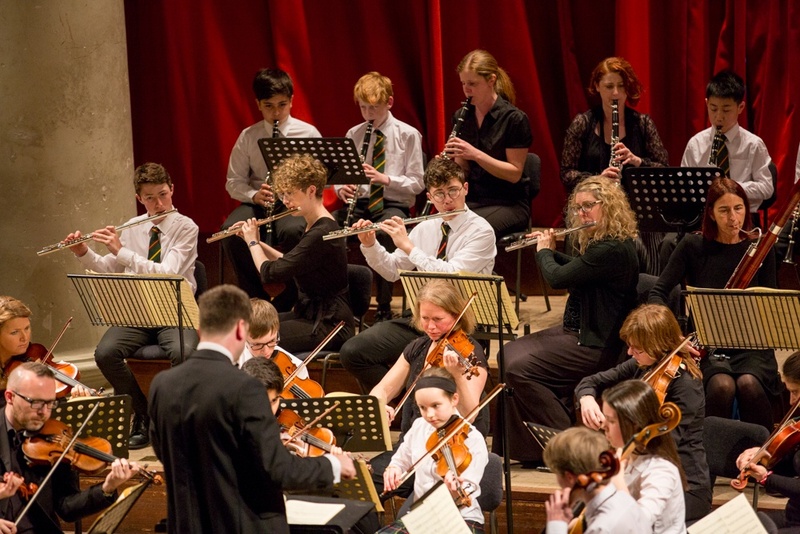 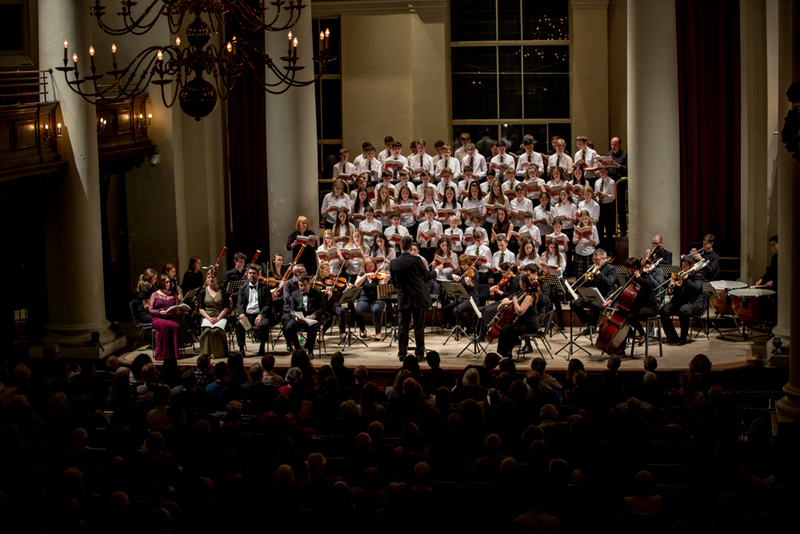 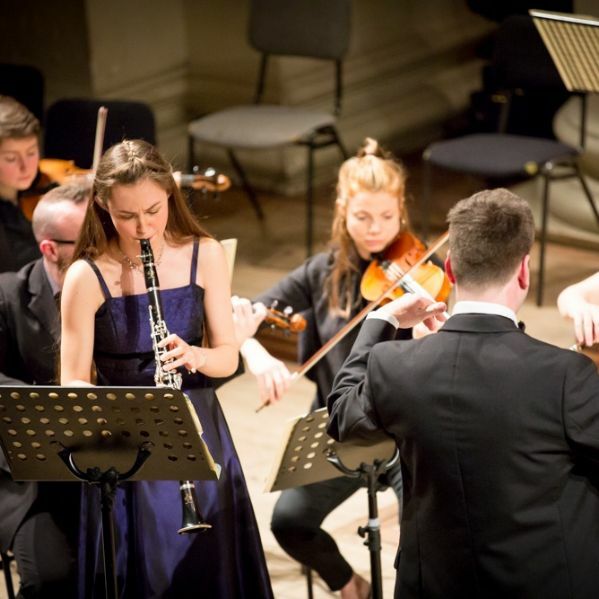 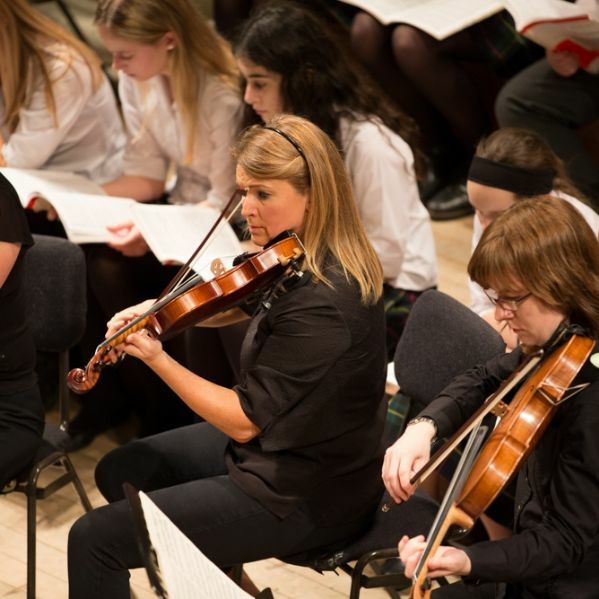 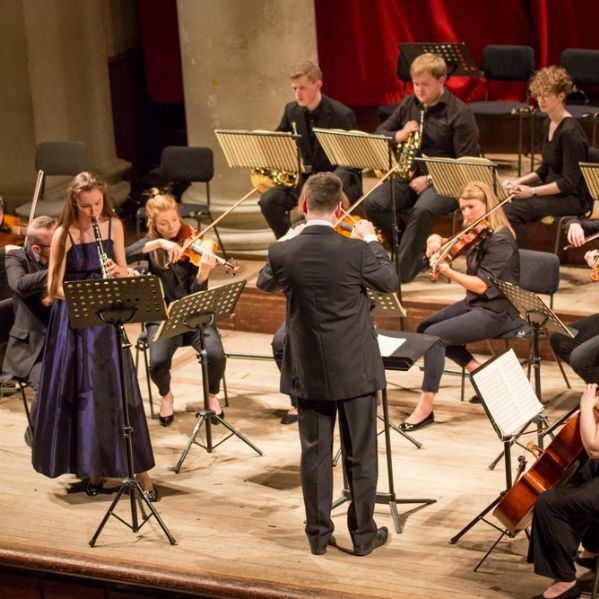 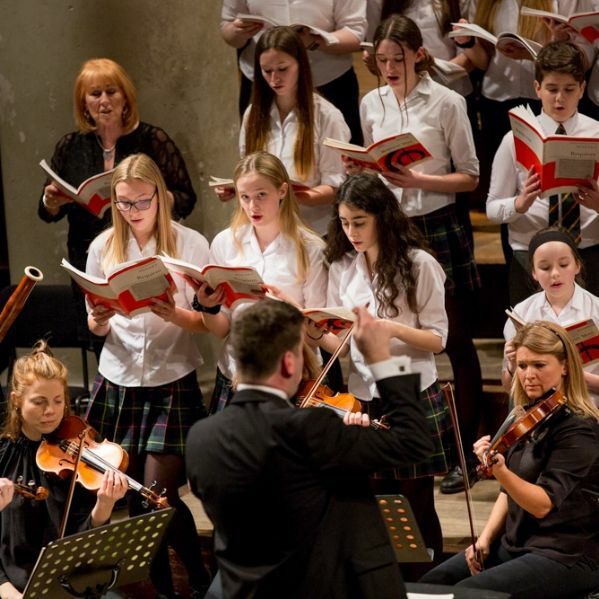 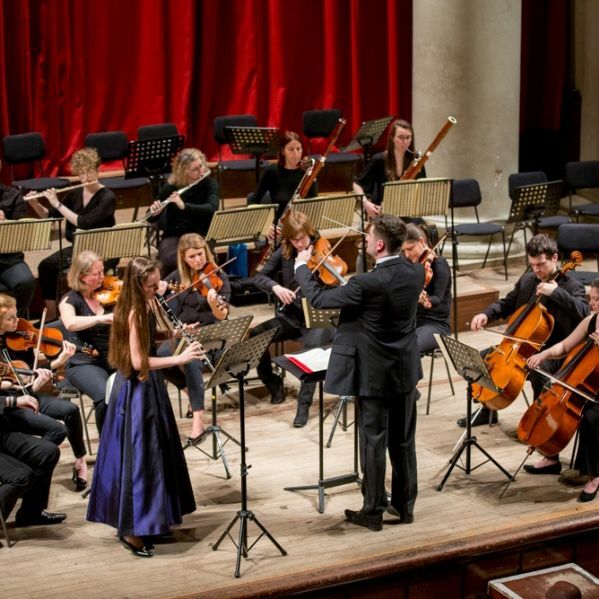 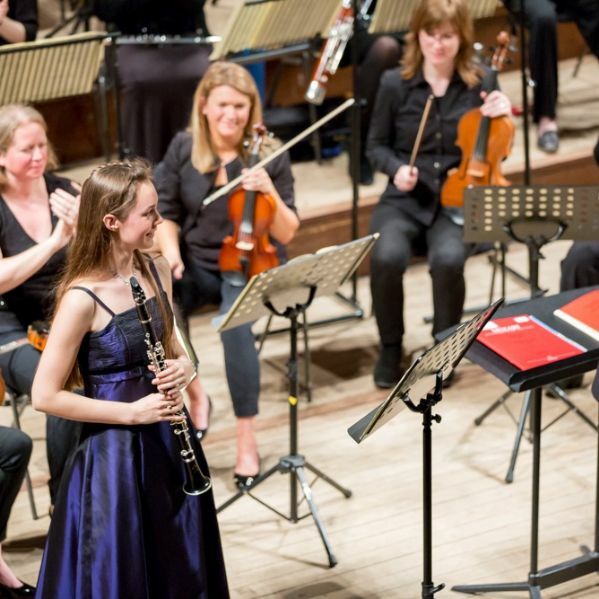 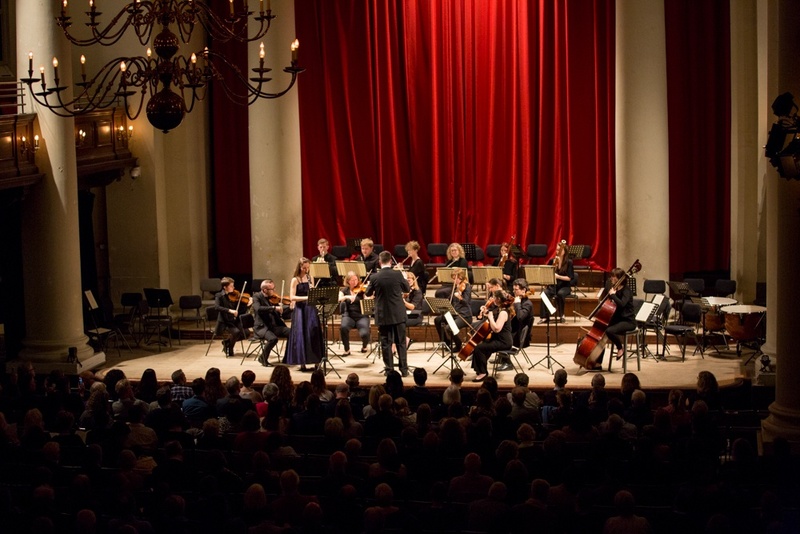 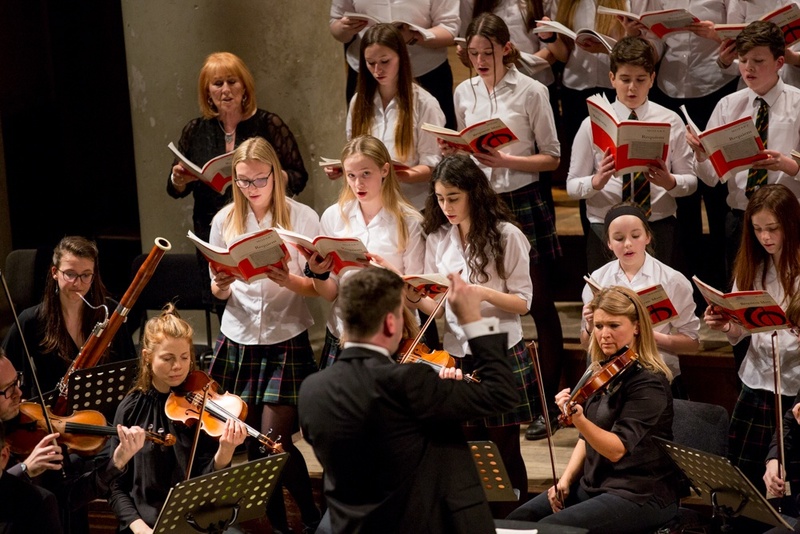 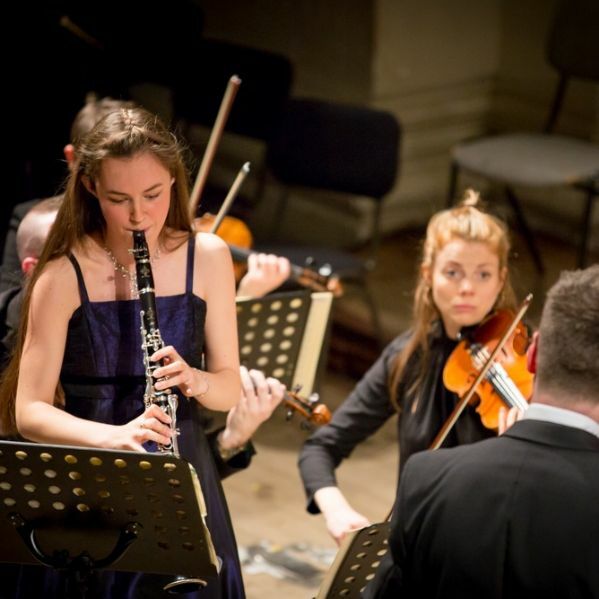 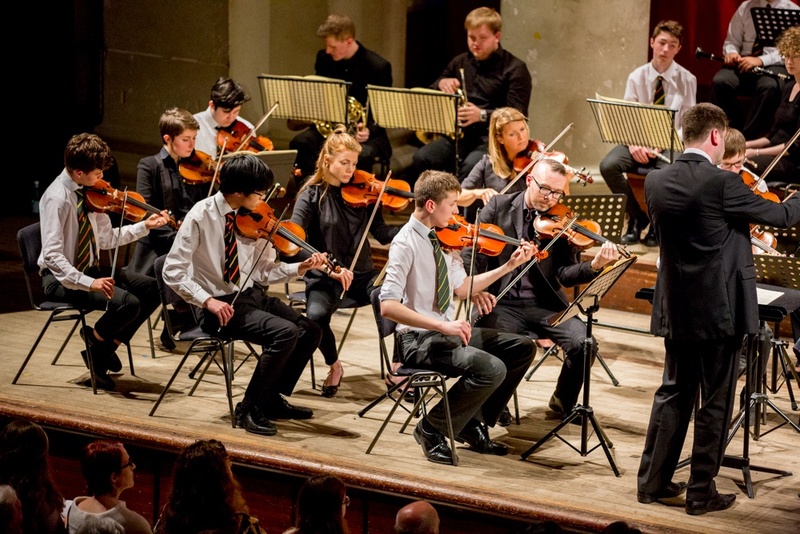 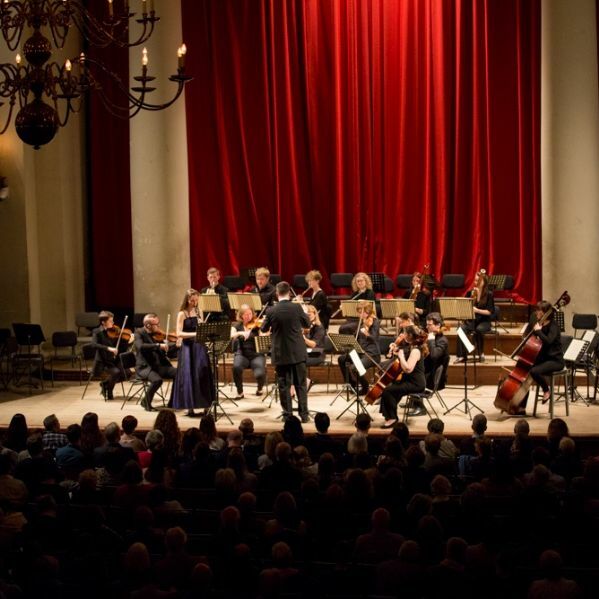 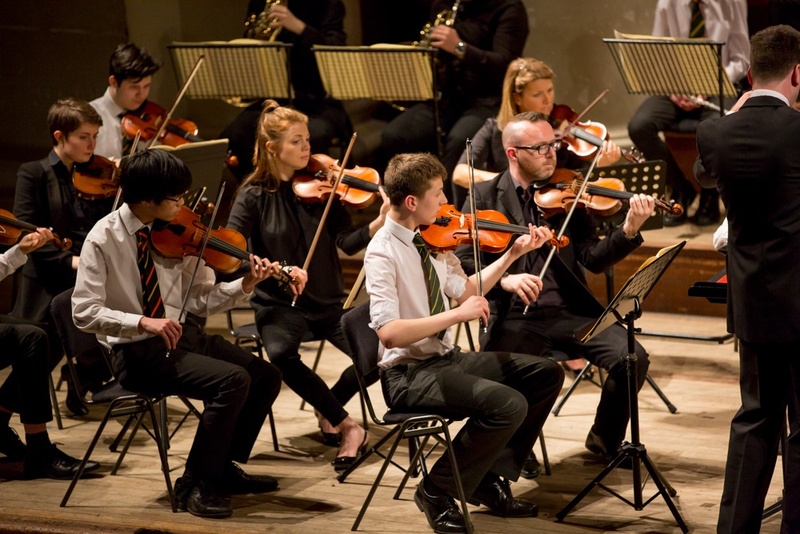 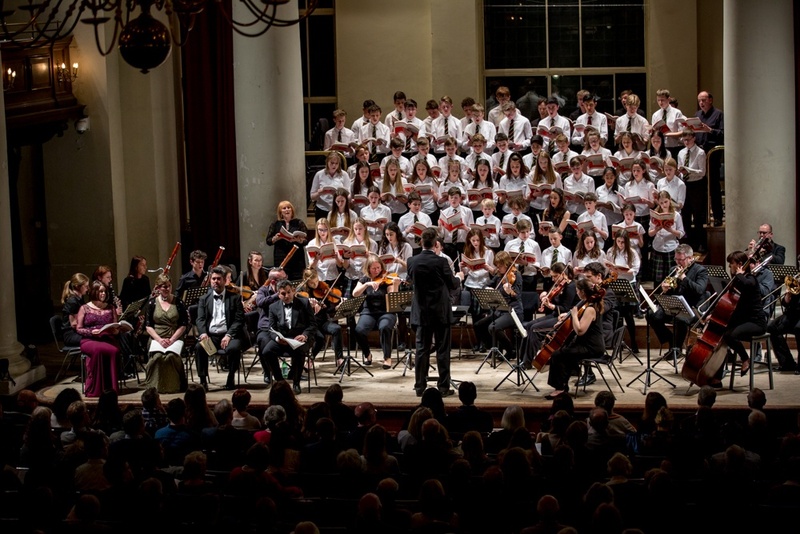 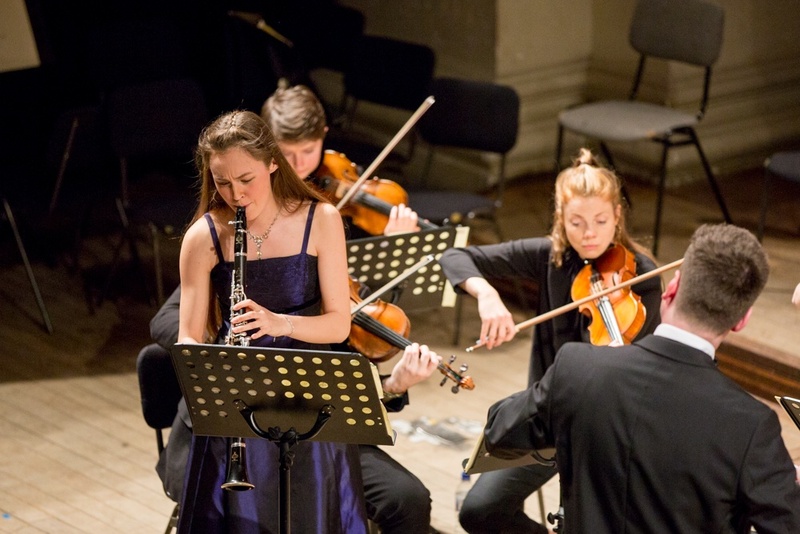 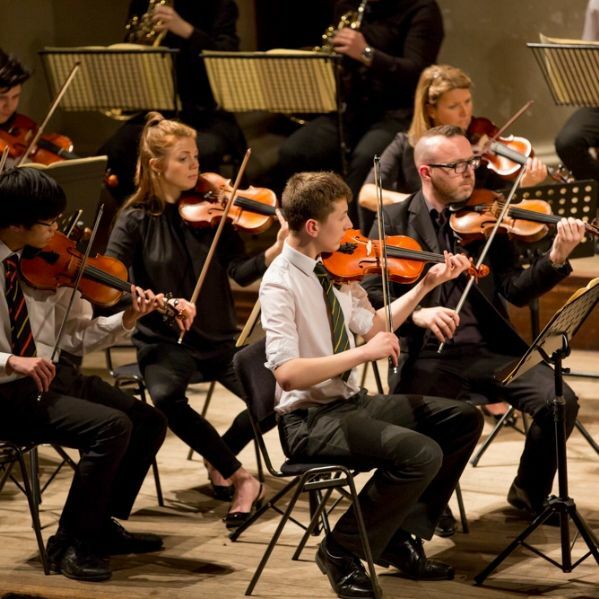 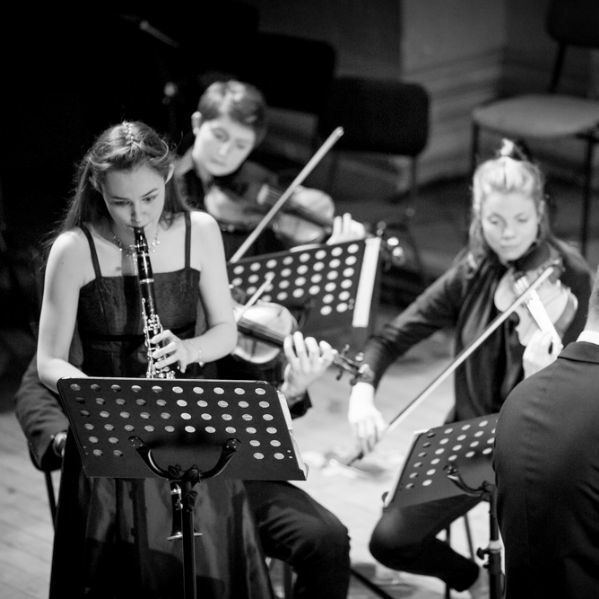 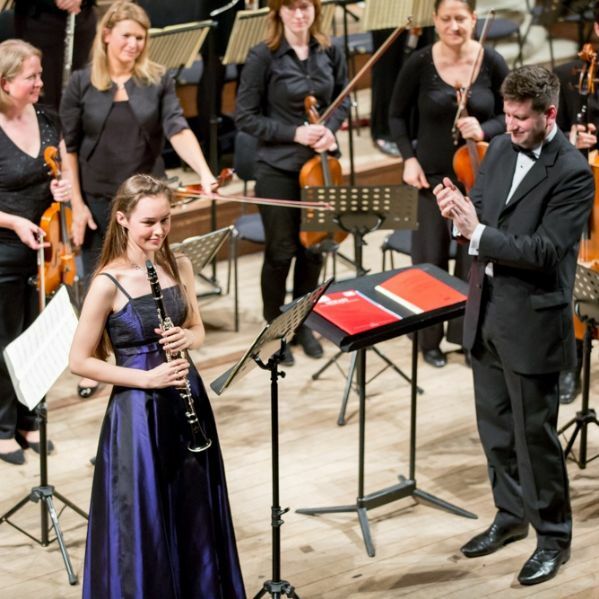 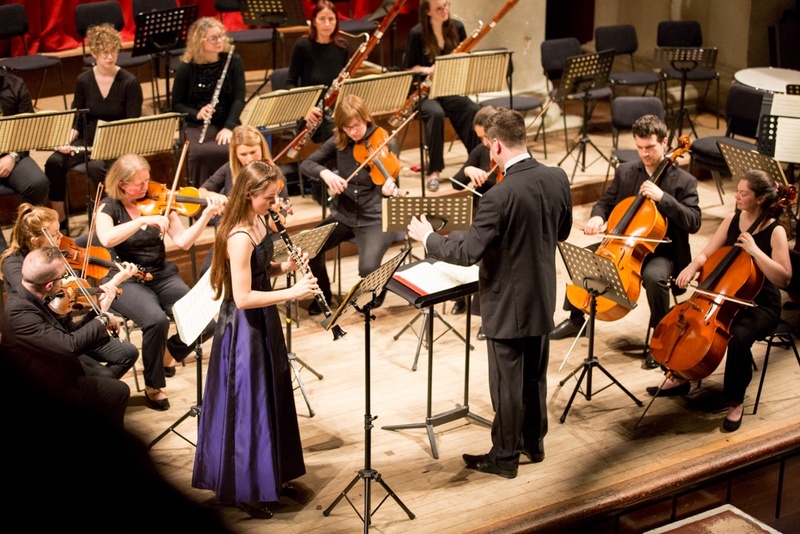 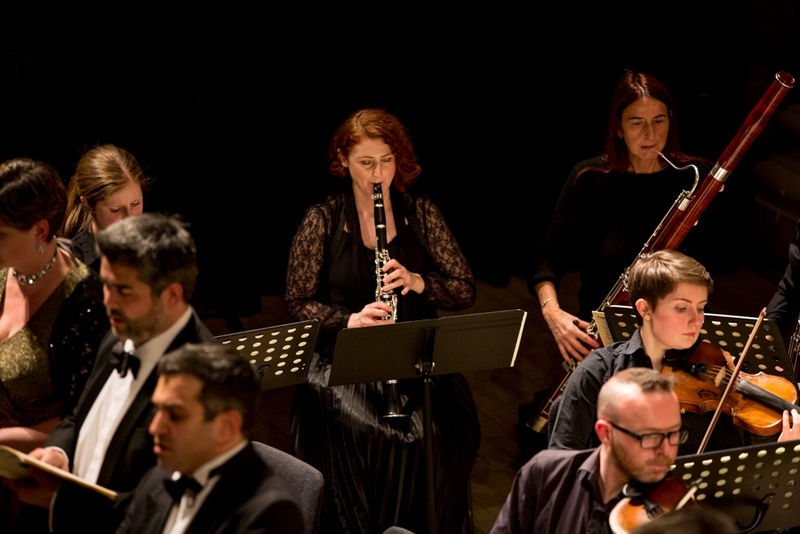 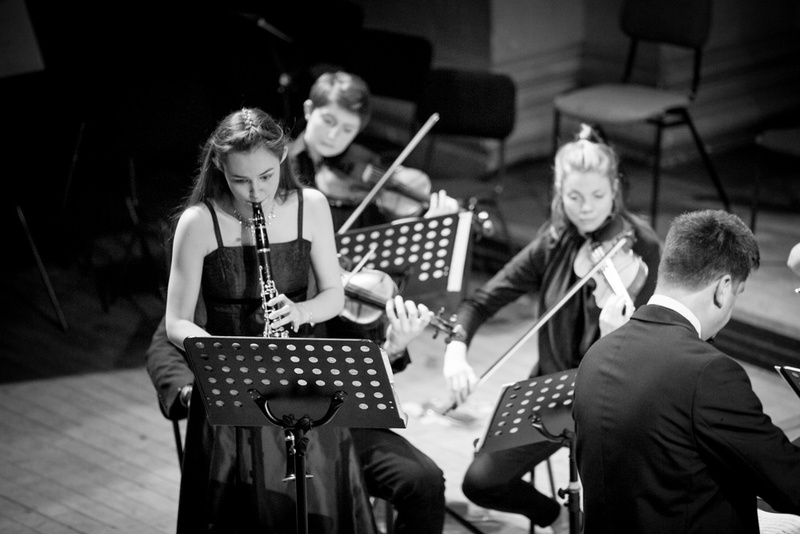 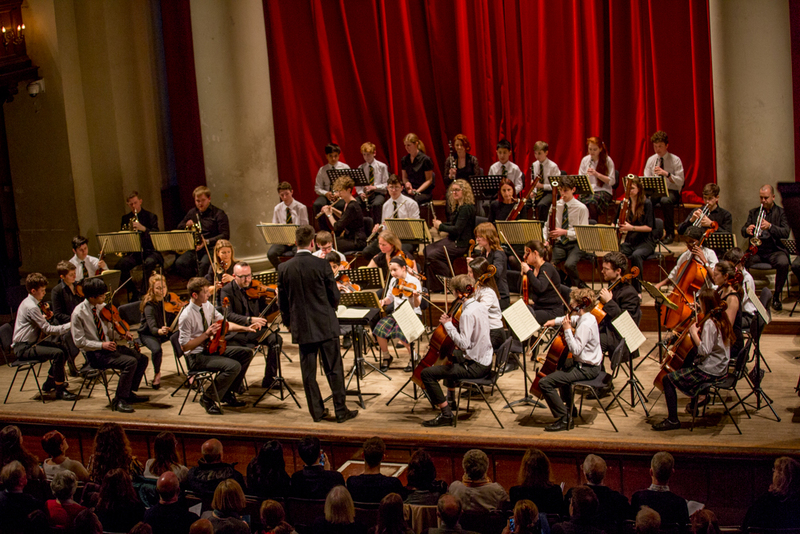 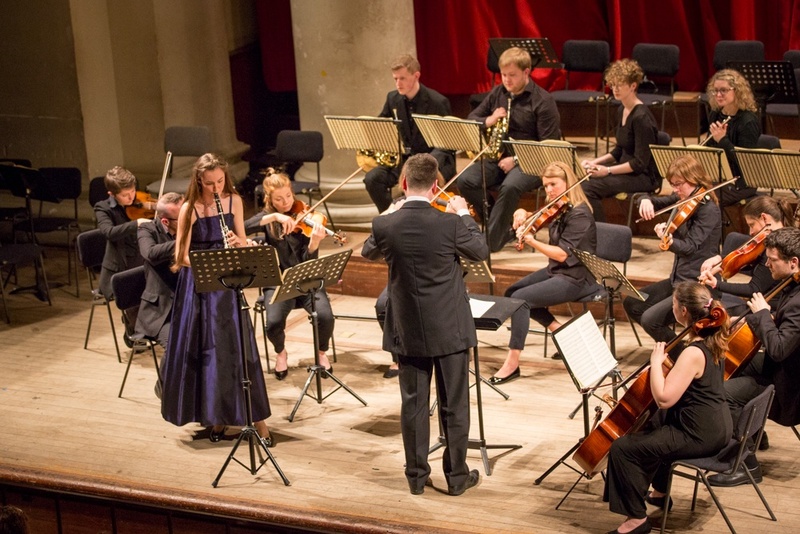 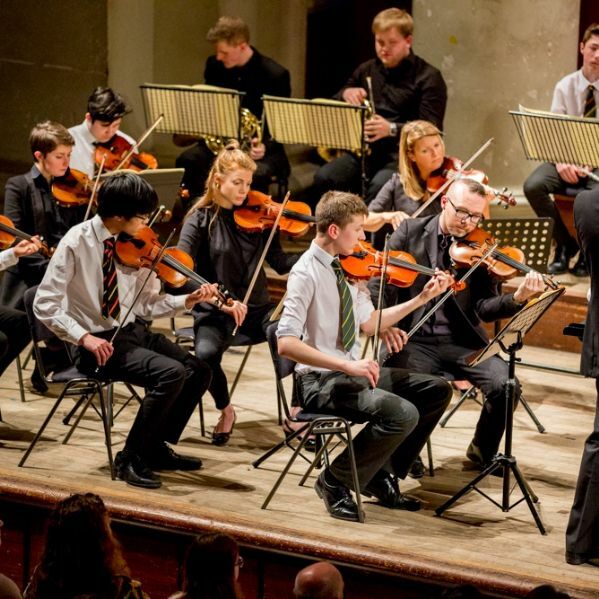 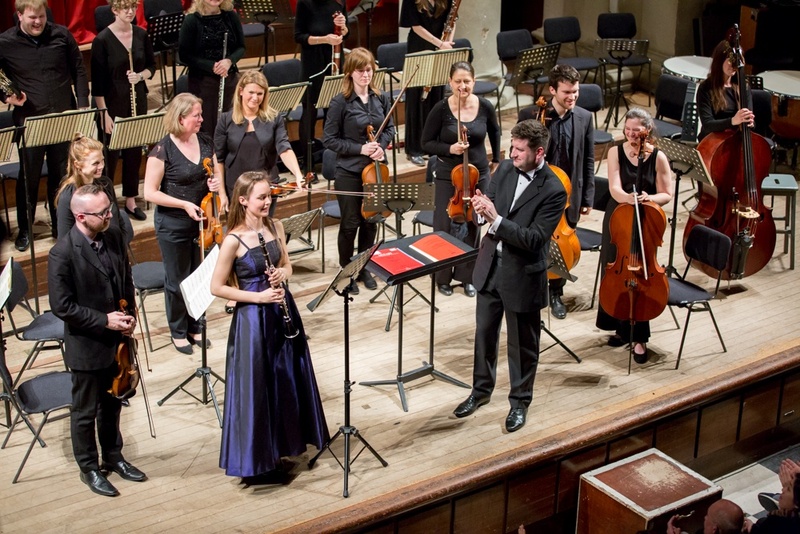 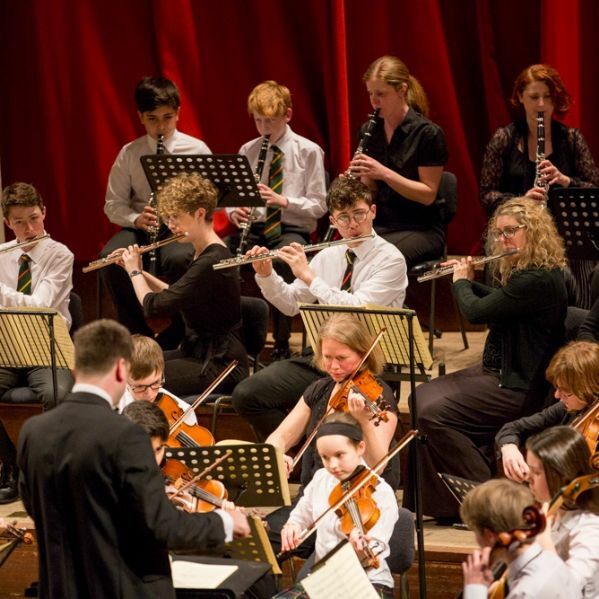 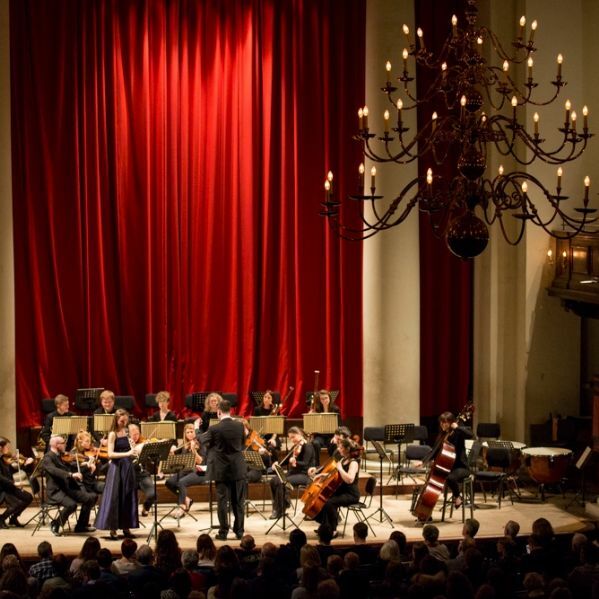 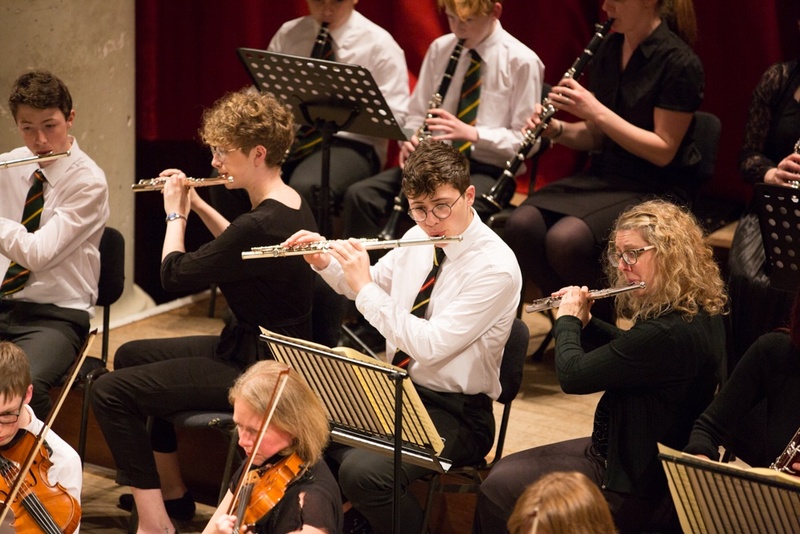 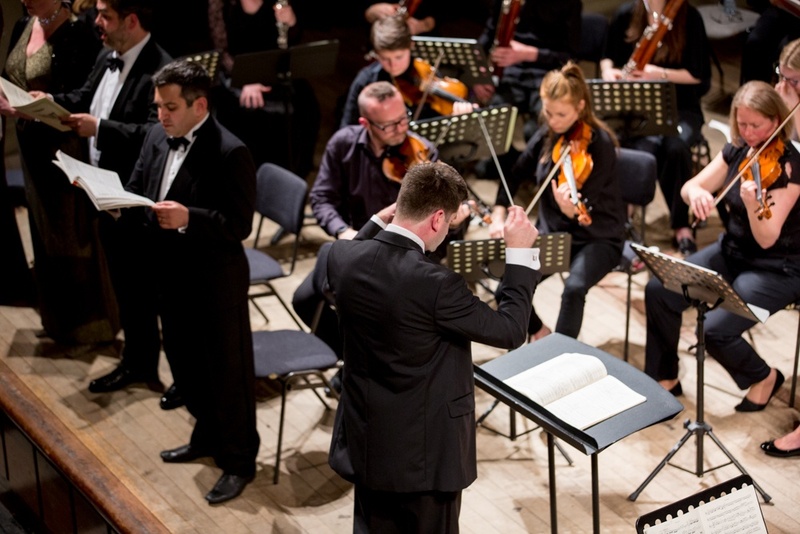 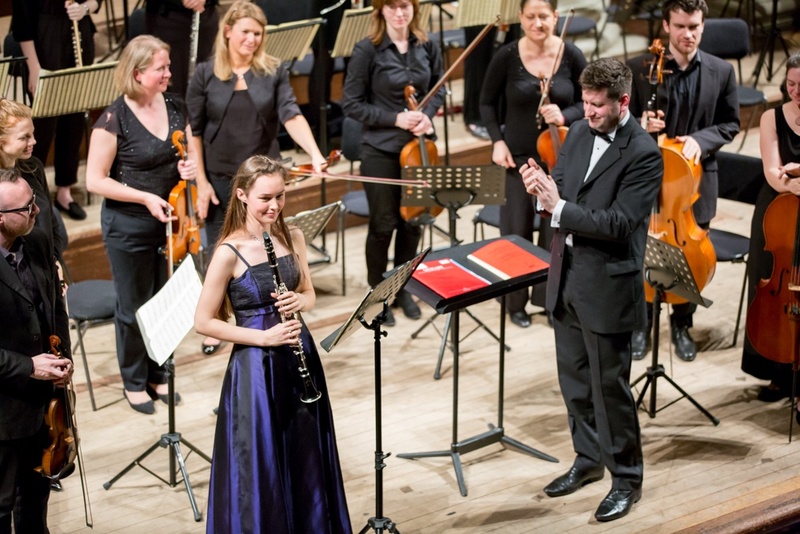 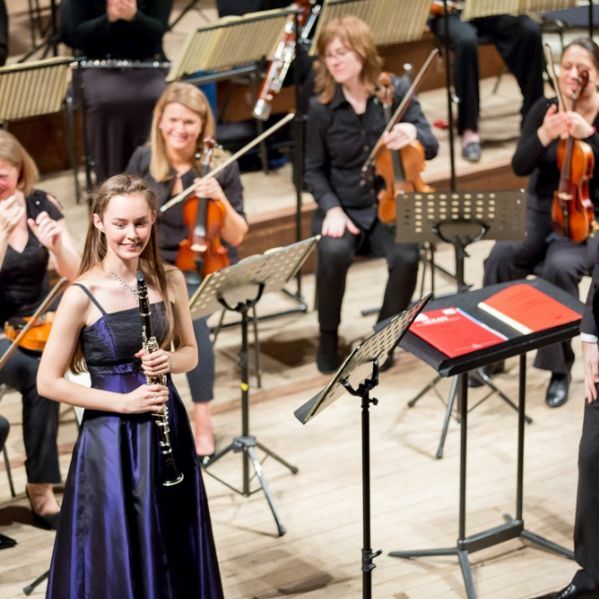 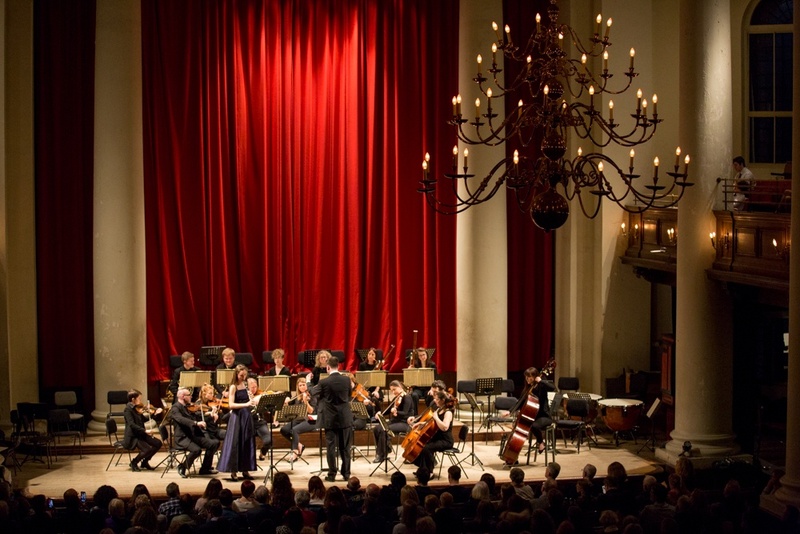 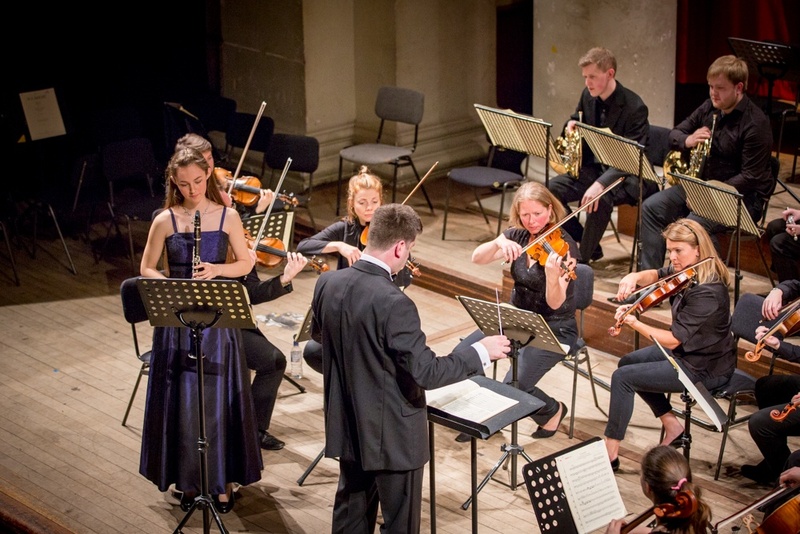 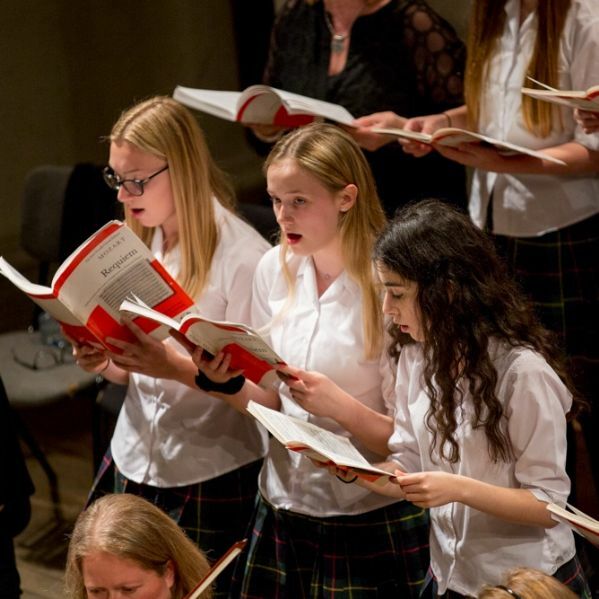 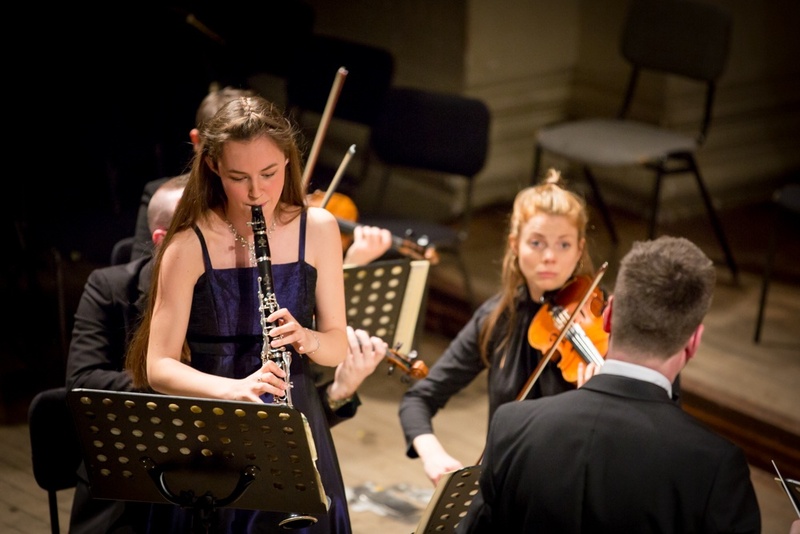 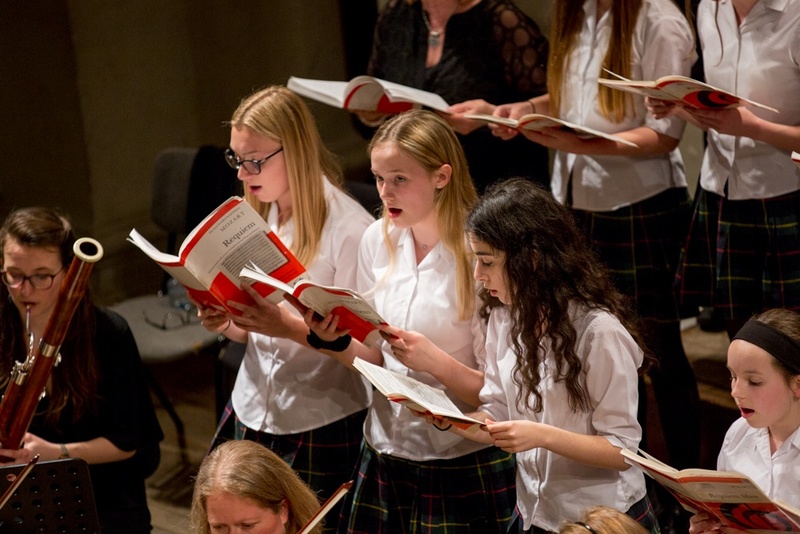 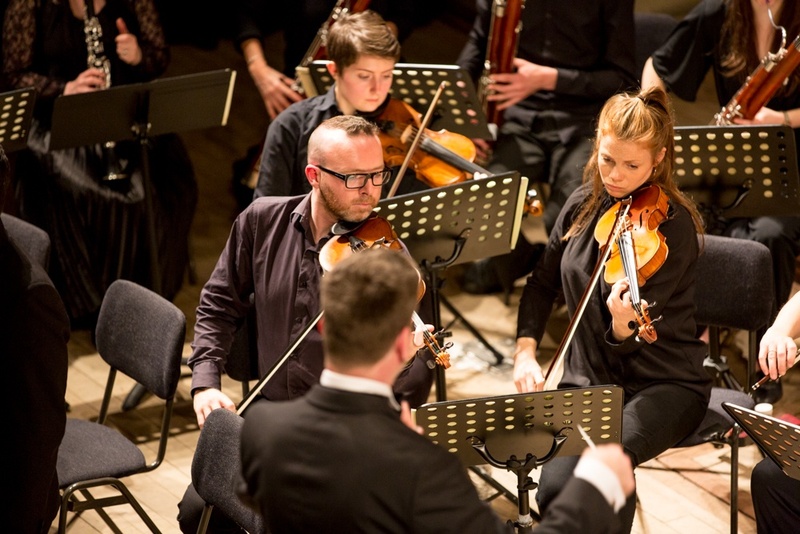 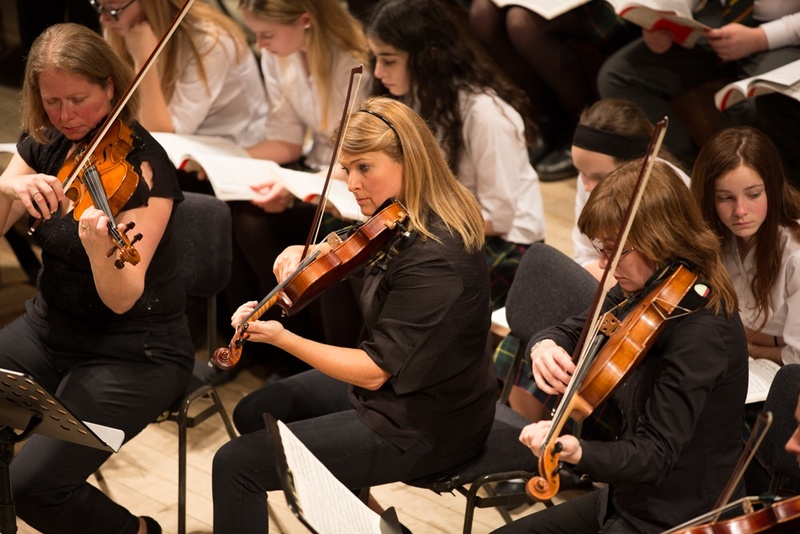 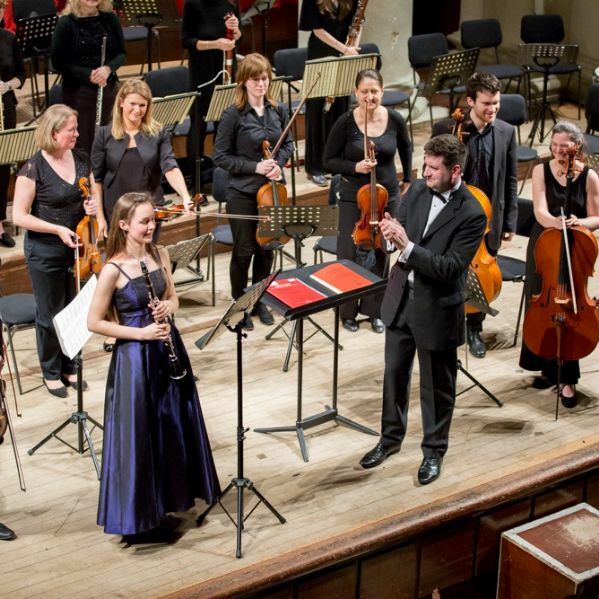 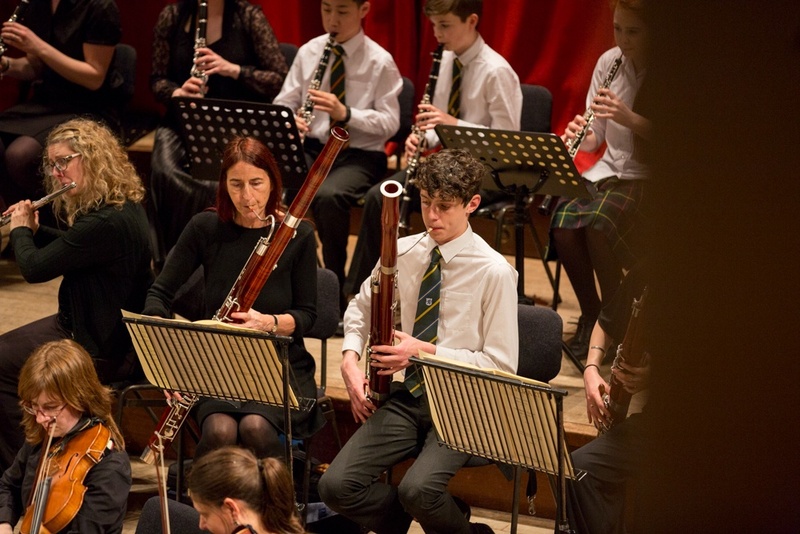 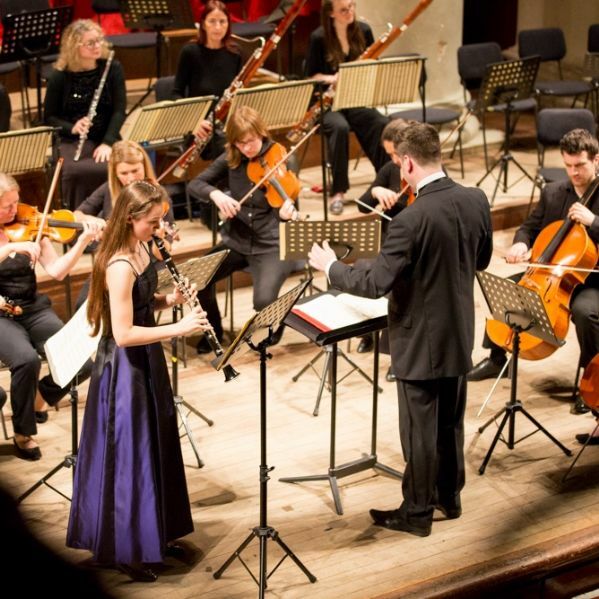 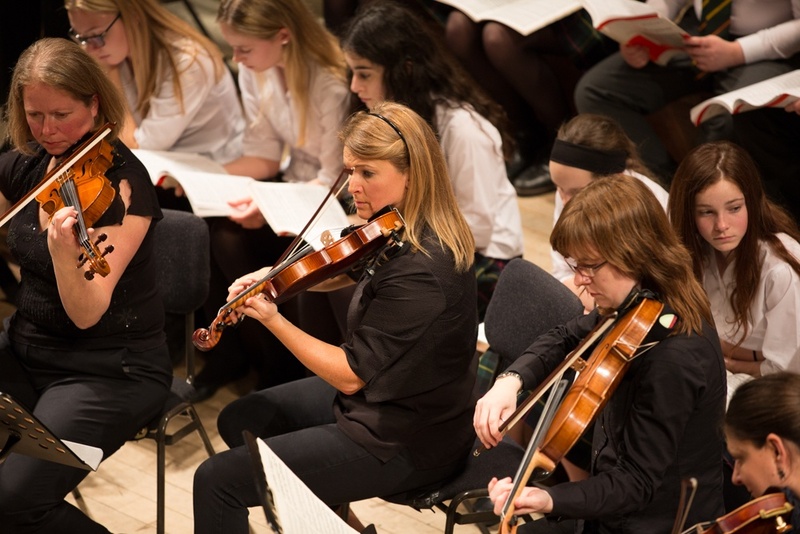 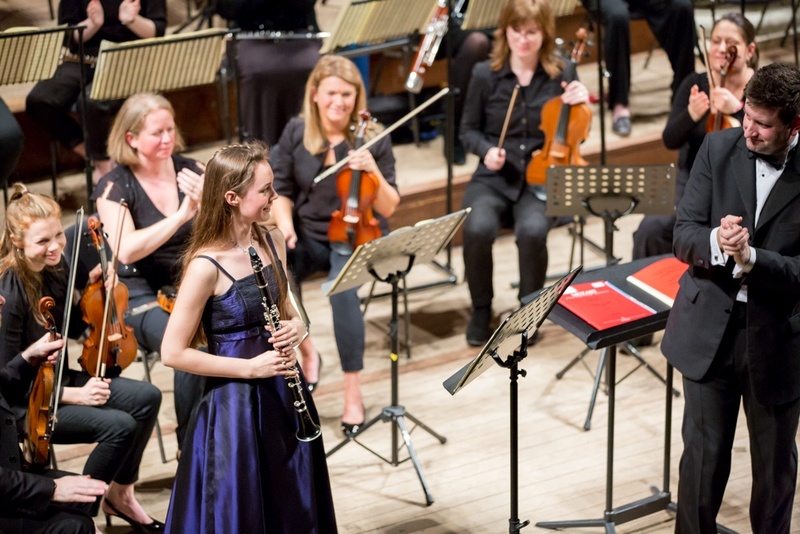 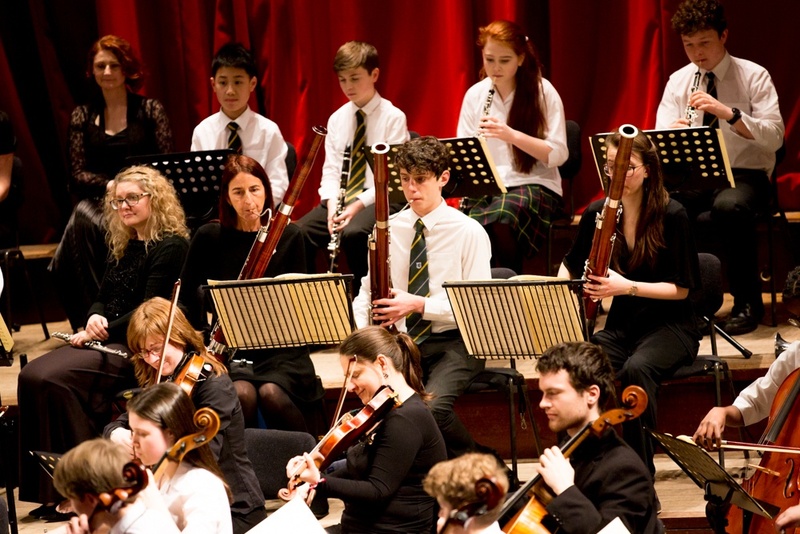 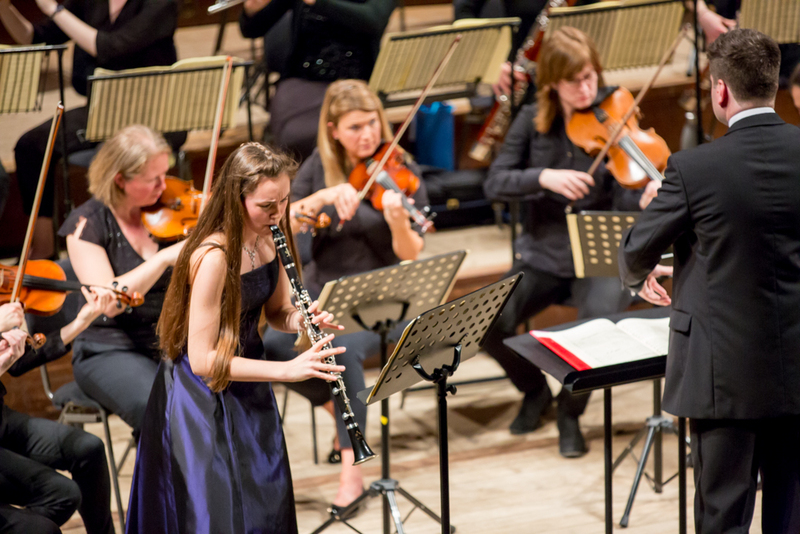 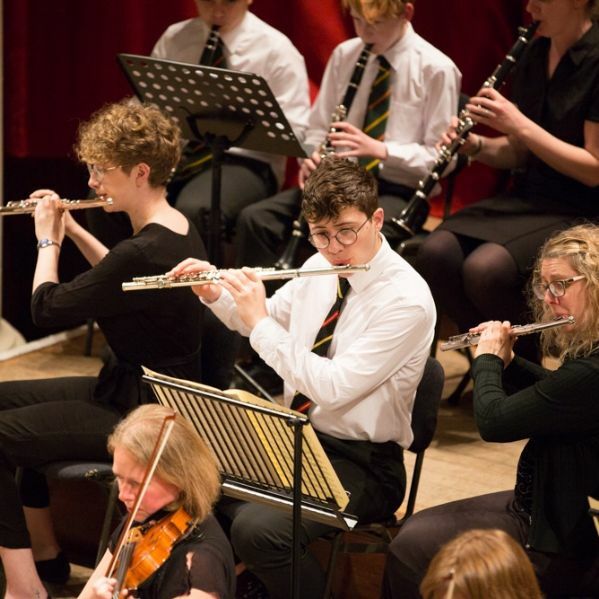 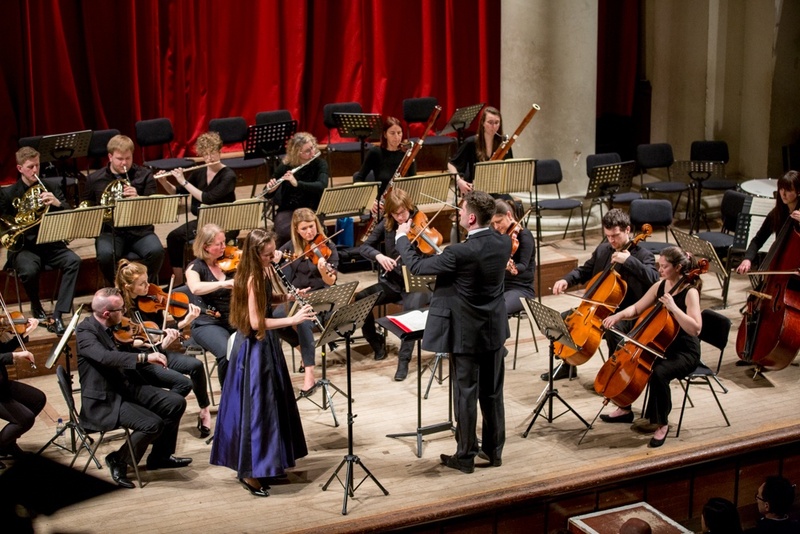 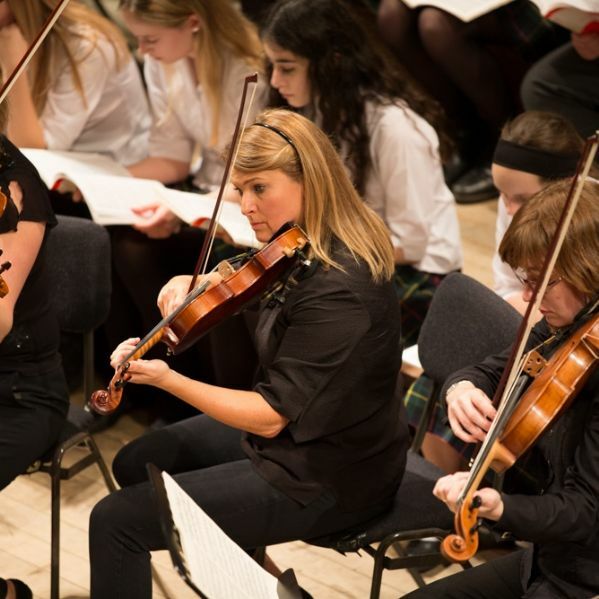 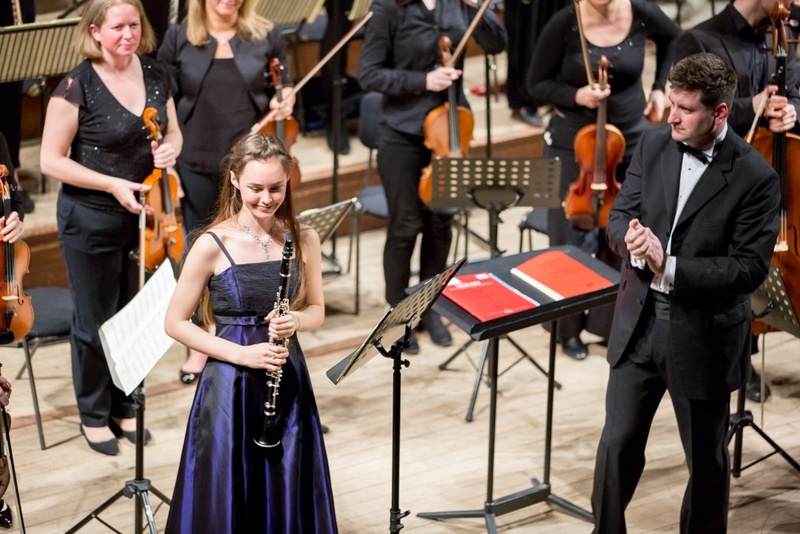 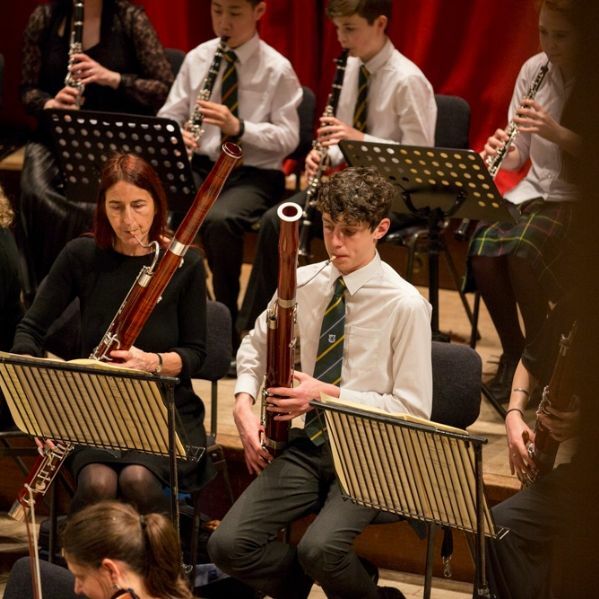 The choir and orchestra performed an all-Mozart programme, with Sixth Form student Valentina Elner-Kupcha as soloist in the Clarinet Concerto. 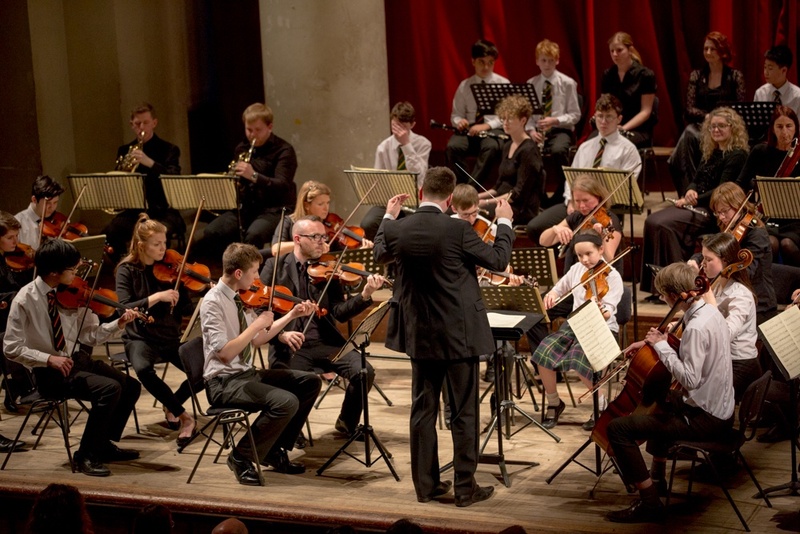 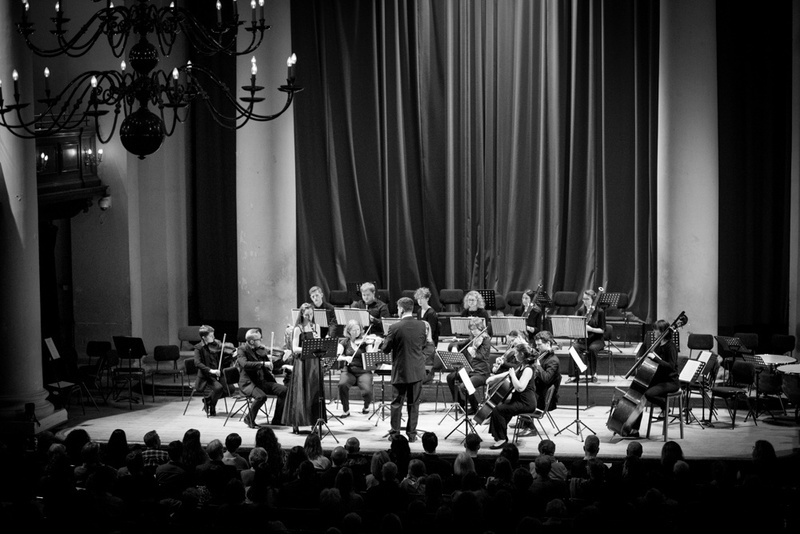 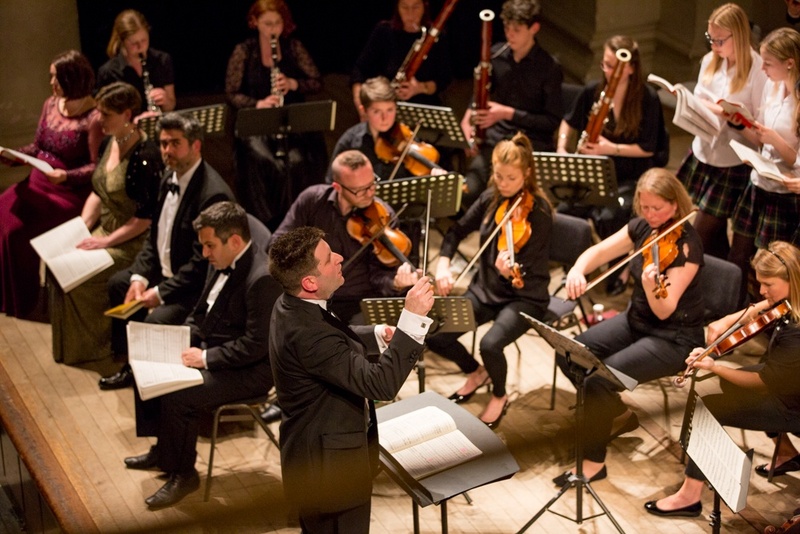 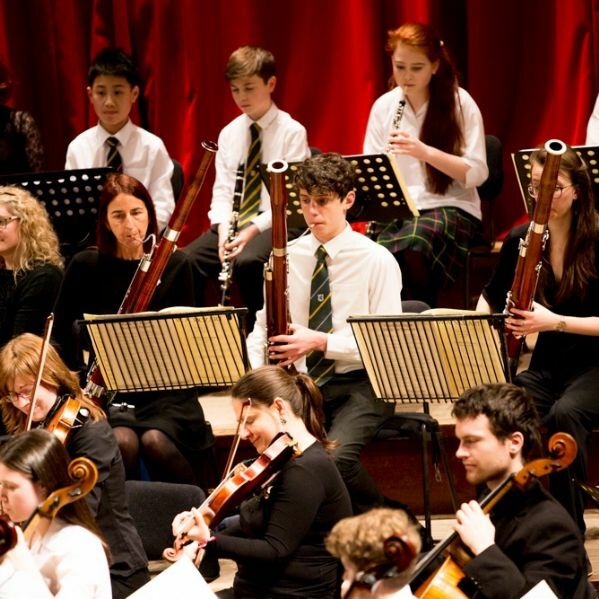 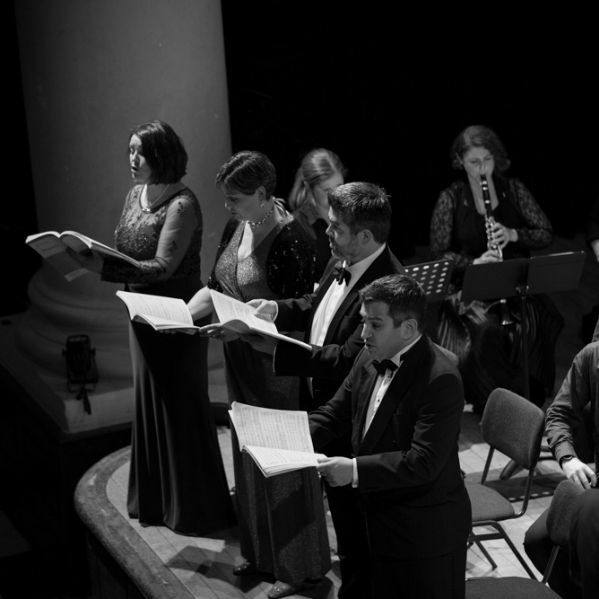 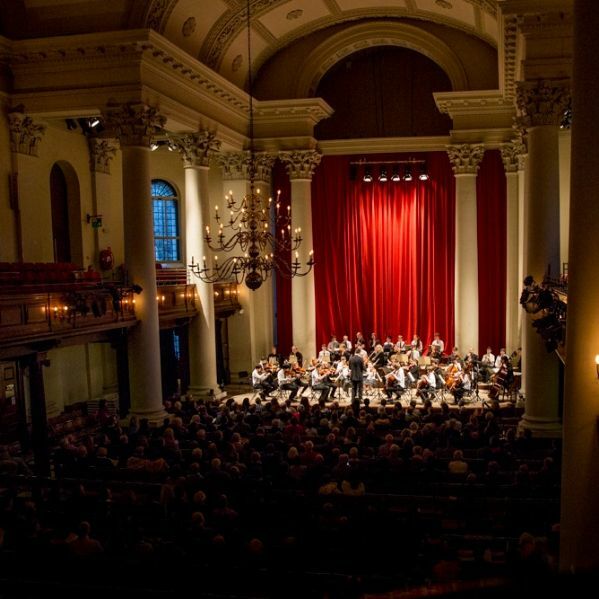 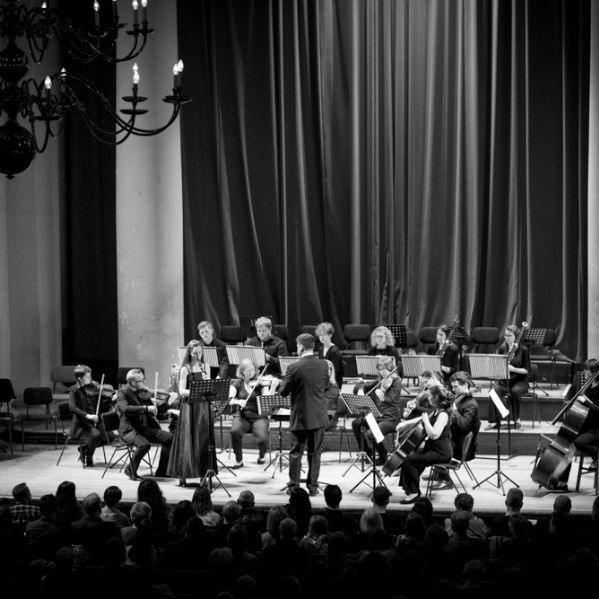 The concert began with the St Benedict’s orchestra's tremendous performance of the ‘Haffner’ symphony, in which they conveyed all the the grandeur and fugal complexity of the first movement – played with fire, as Mozart had directed; the second movement’s melodic grace and delicate interplay between the woodwind and strings; the ceremonial Menuetto and Trio, and the dizzying exhilaration of the Presto finale. 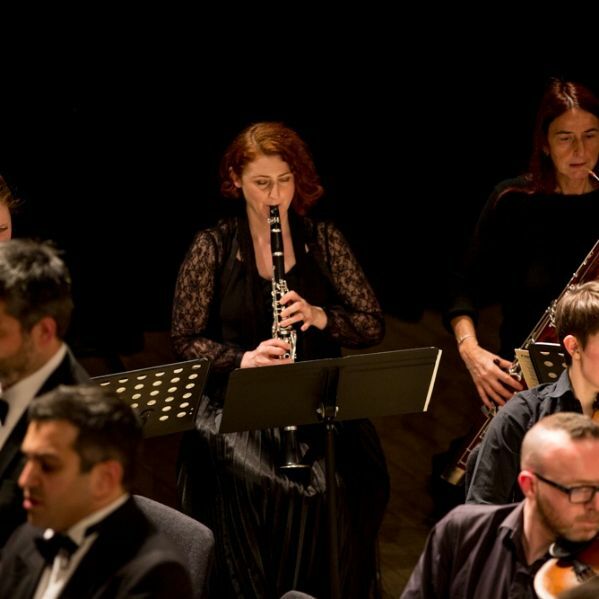 Mozart wrote his Clarinet Concerto in celebration of the virtuoso clarinettist, Anton Stadler, and to fully exploit the instrument’s diversity of sound qualities: a tall order, then, for any performer. 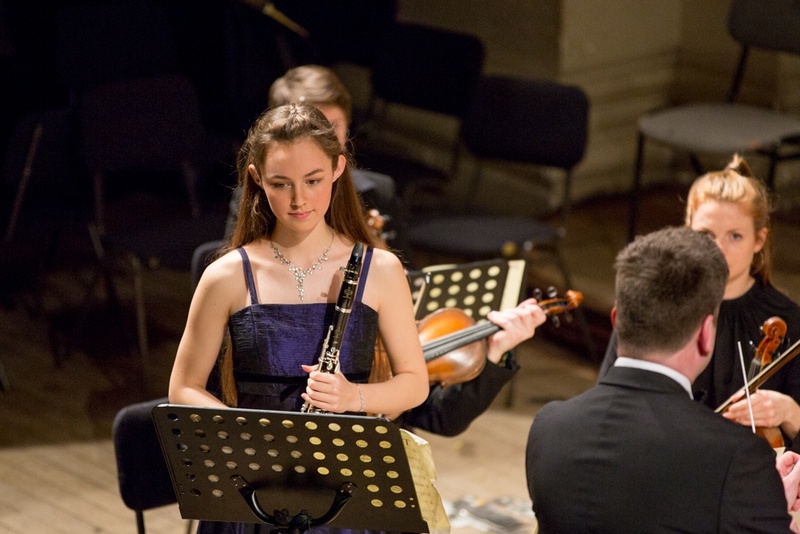 Valentina’s performance enchanted the audience from beginning to end; not only was it an astonishing display of virtuosic skill, as she negotiated the music’s rapid, intricate passages and gymnastic leaps in pitch, she also brought out the clarinet’s exquisite singing quality and rich tone. 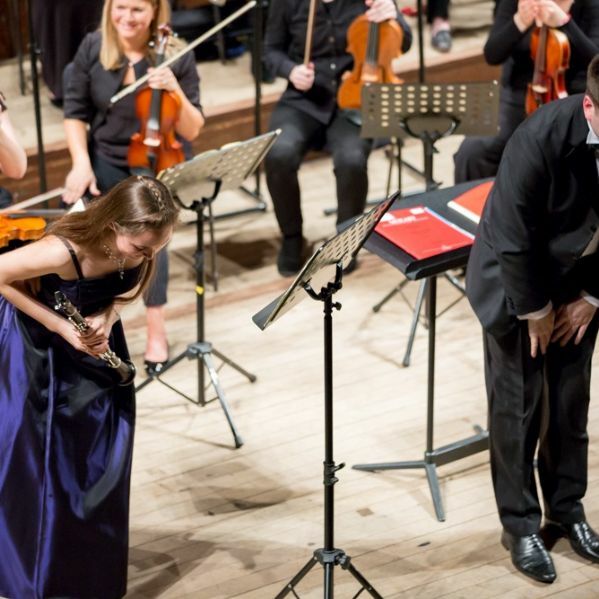 From the gracious lyricism of the first movement, and the sublime beauty of the adagio second movement, to the joyful, quixotic finale, Valentina captured the concerto’s distinctive personality and Mozart’s sheer delight in the instrument. 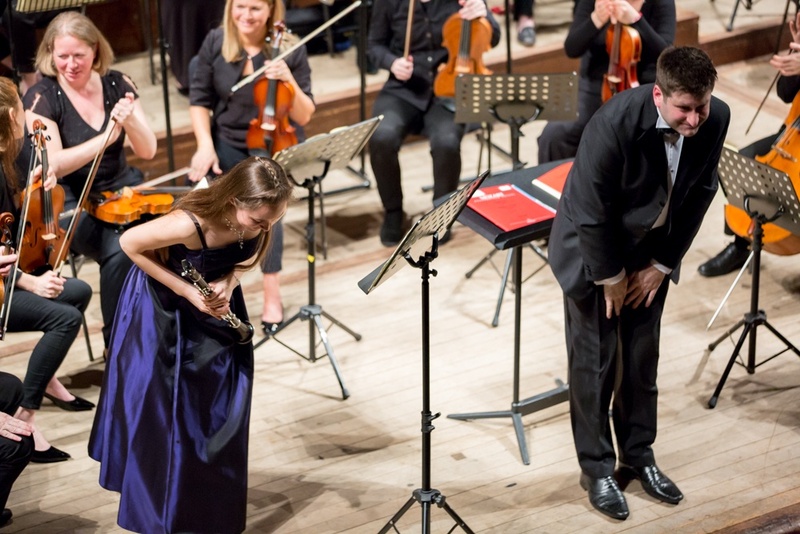 What’s more, she – and the accompanying ensemble – clearly enjoyed every minute of it. 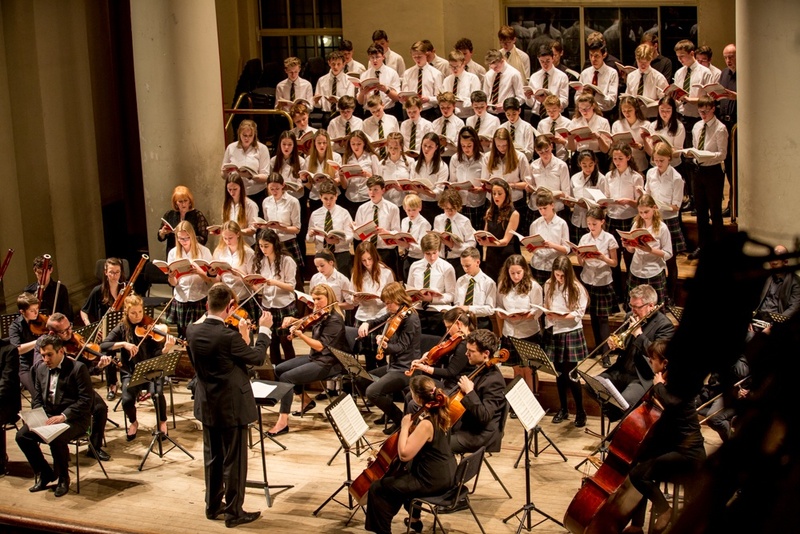 Then came the Concert Choir’s powerful performance of Mozart’s Requiem in D minor. 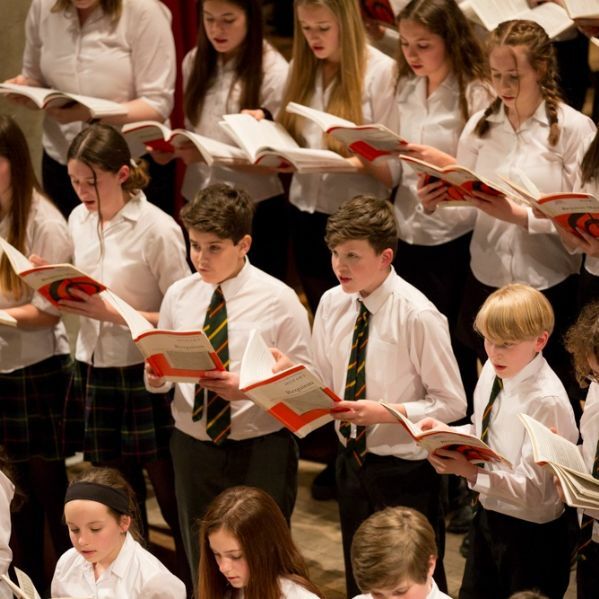 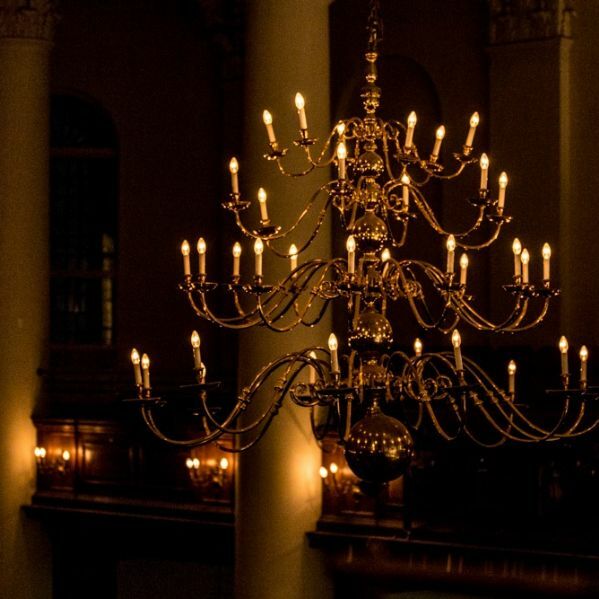 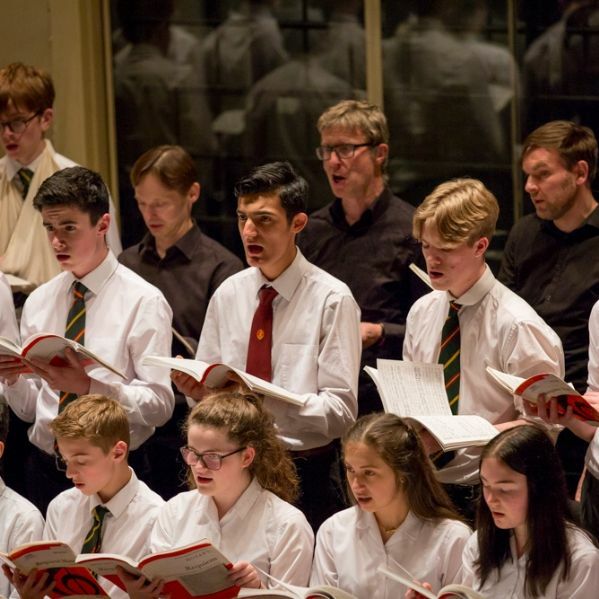 Sixty singers from Year 7 to the Sixth Form rose to the technical challenge of this complex and enigmatic choral work, with its darkly imposing Introitus, the tender and poignant Lacrimosa (the last music Mozart ever wrote), and the dramatic intensity of Rex Tremendae. 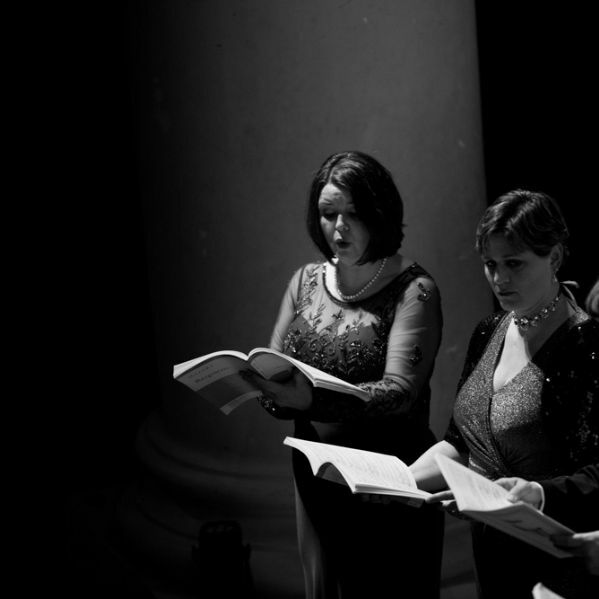 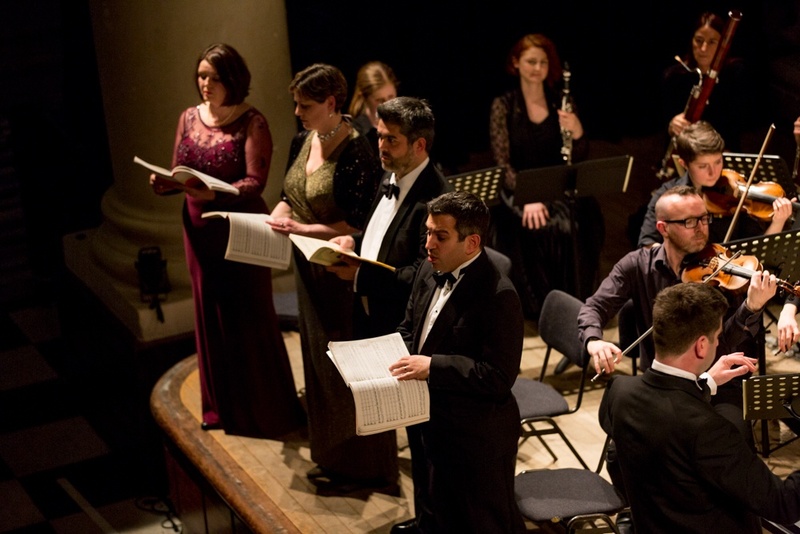 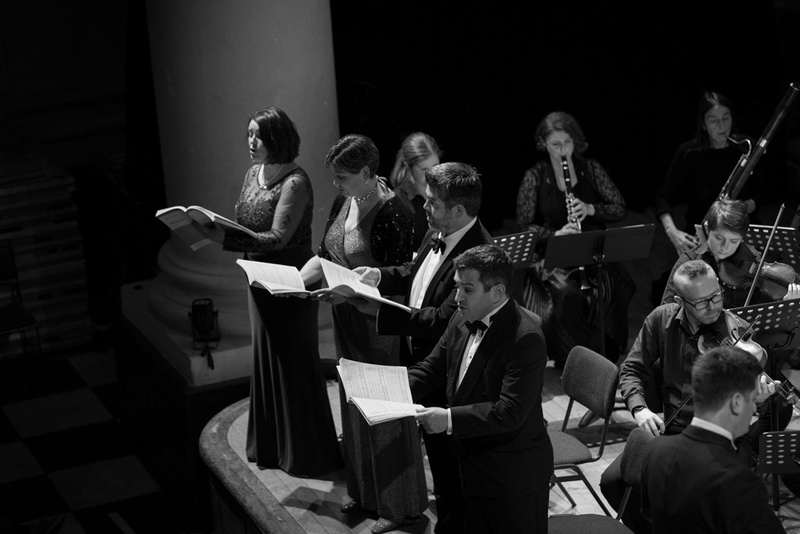 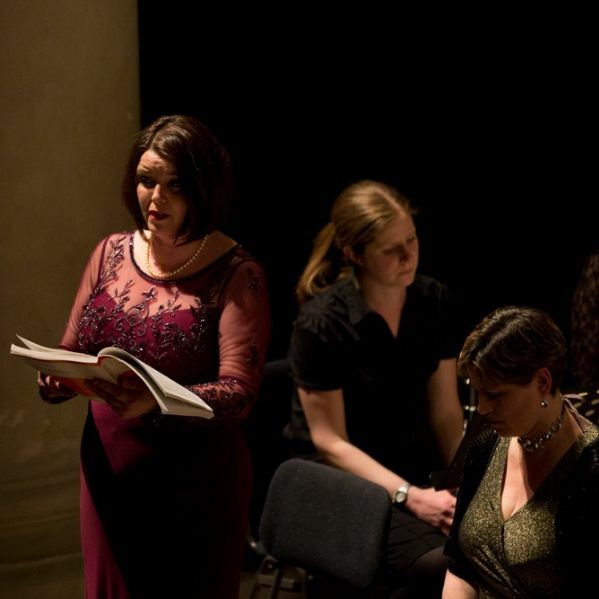 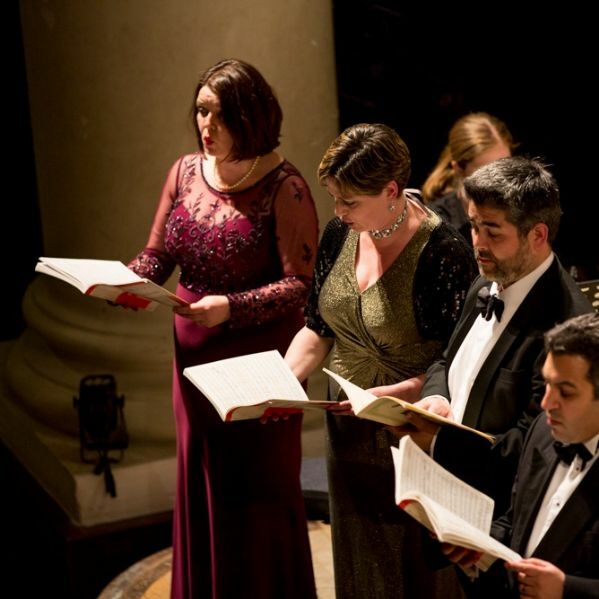 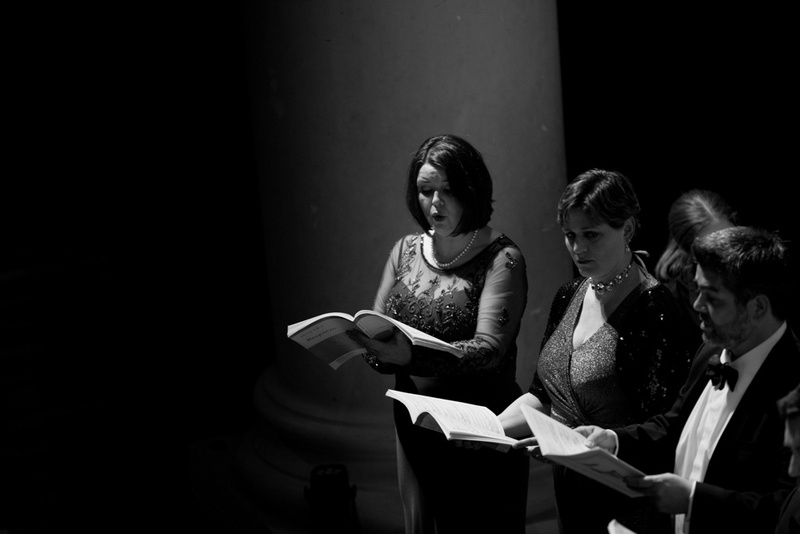 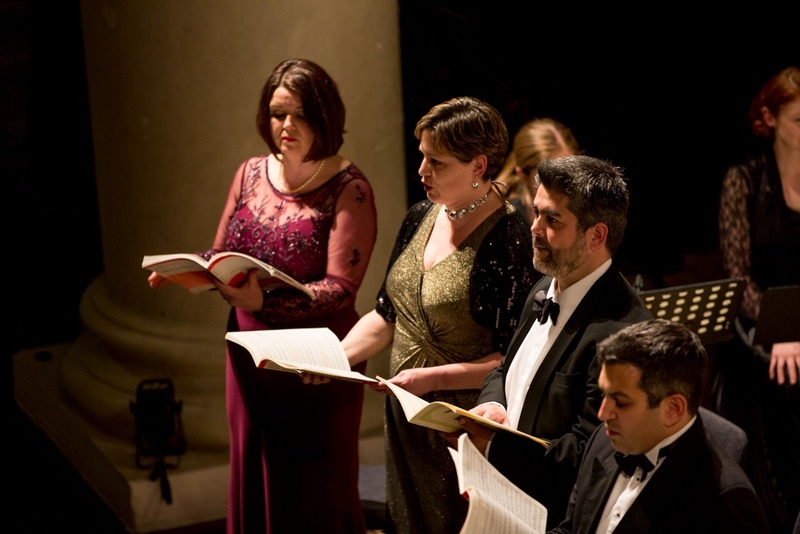 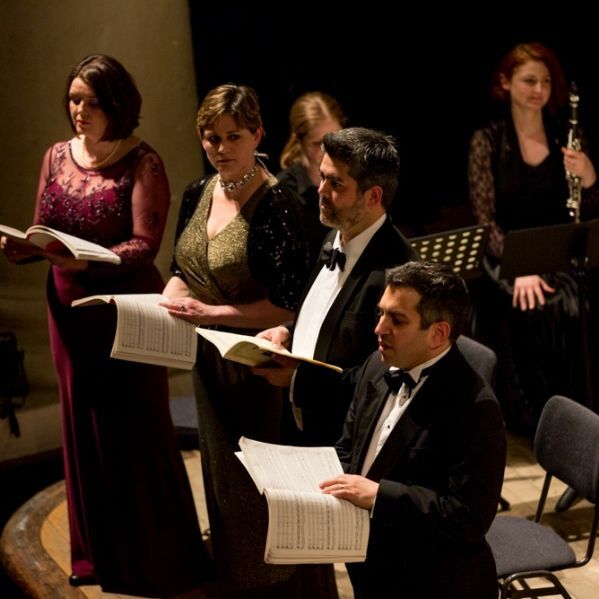 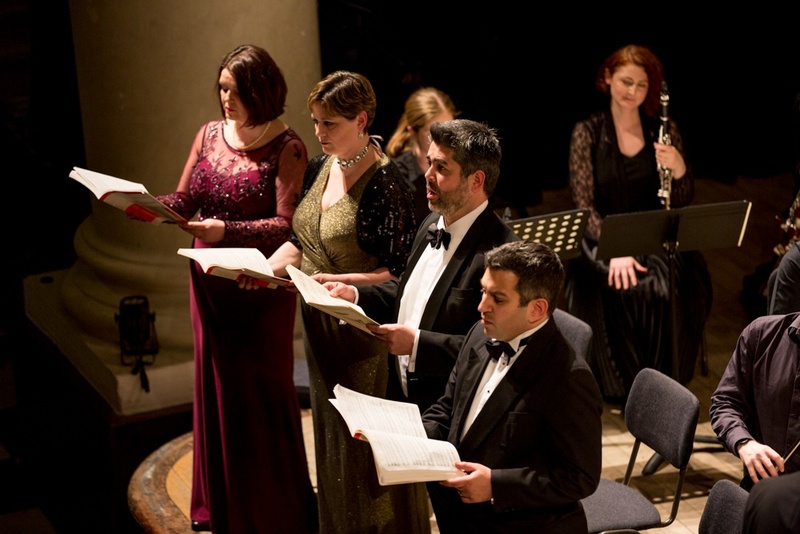 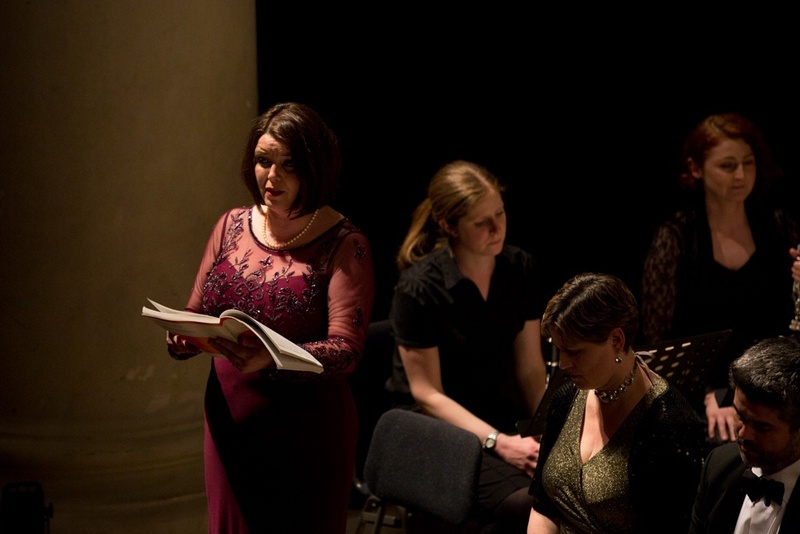 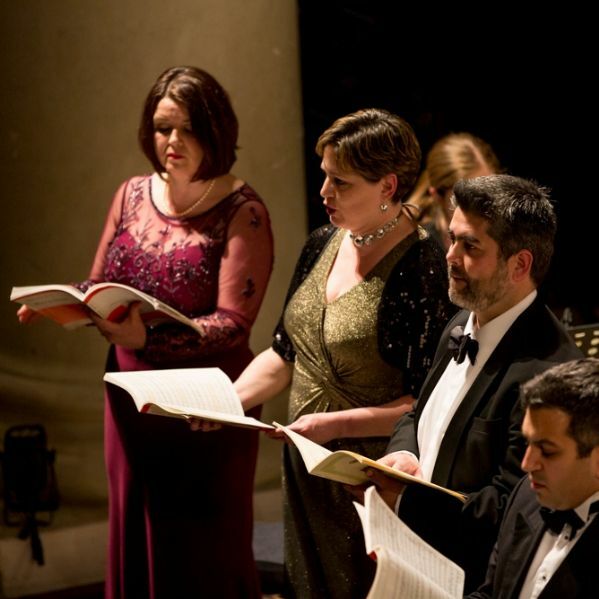 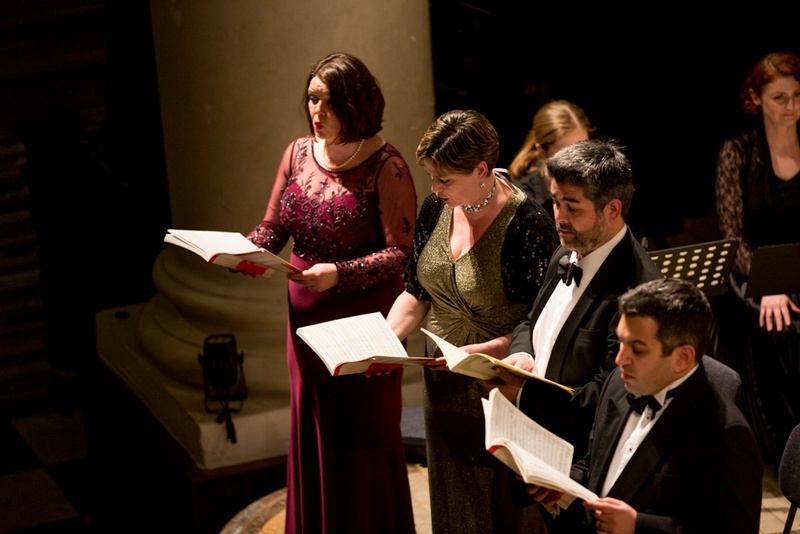 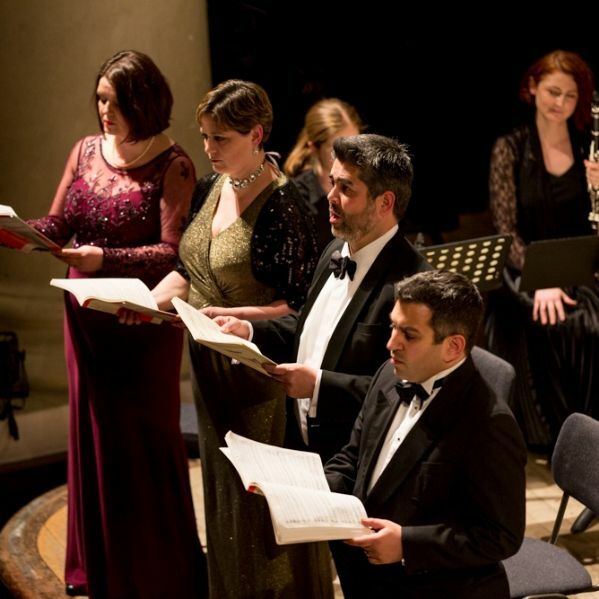 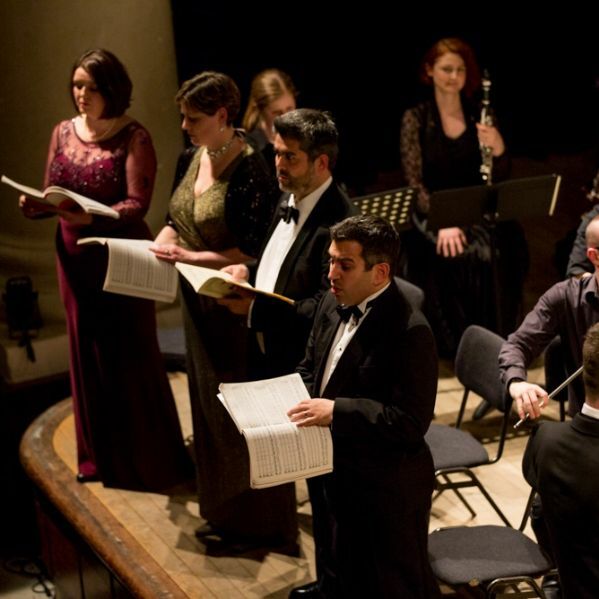 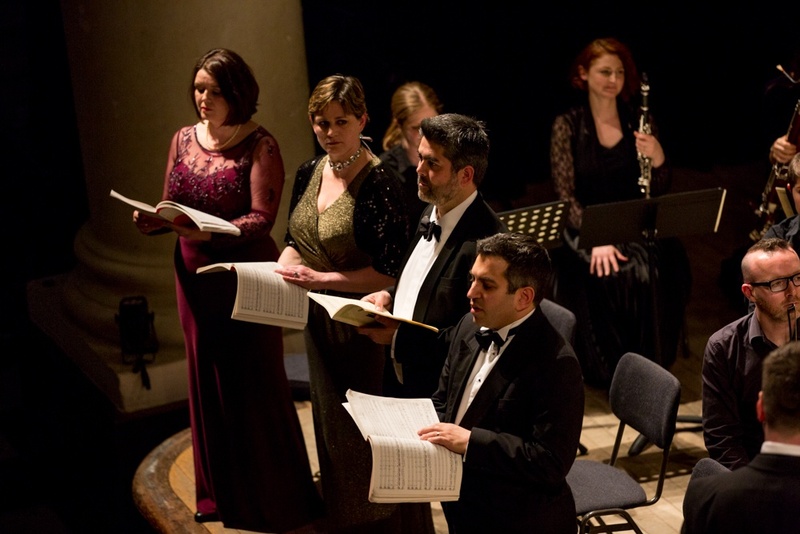 The professional soloists - Alison Rayner, Rebecca Stockland, Mark Chaundy and Leandros Taliotis – gave exquisite performances. 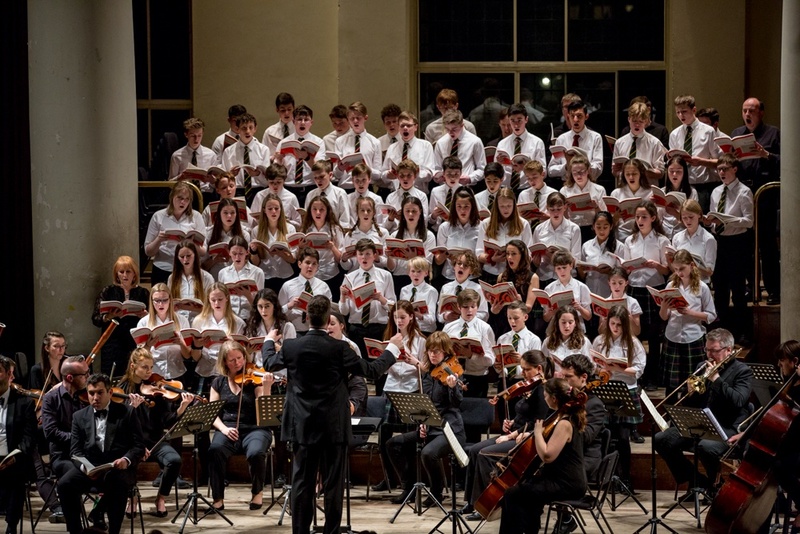 This was a truly excellent concert which demonstrated the wealth of musical talent at St Benedict’s, thriving under the inspirational leadership of Mr Christopher Eastwood. 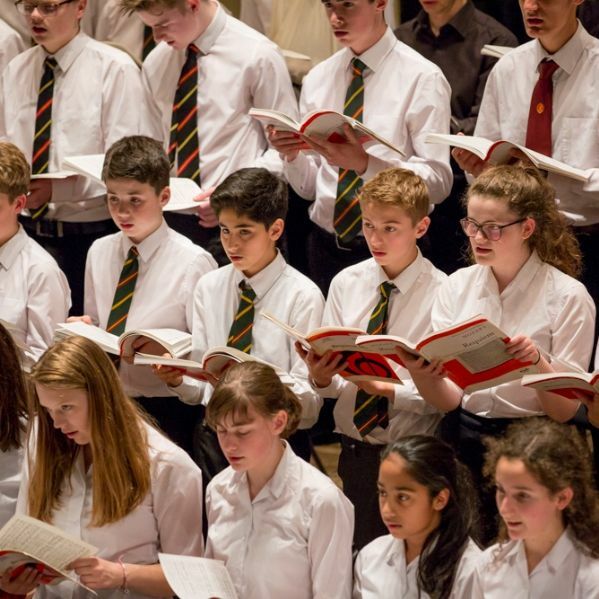 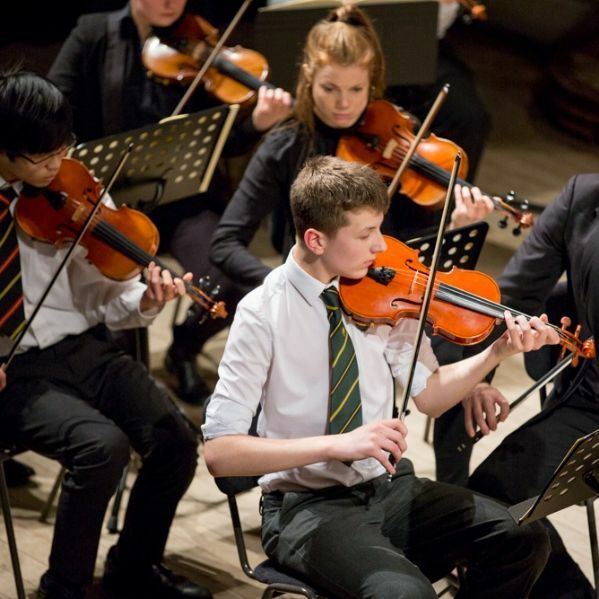 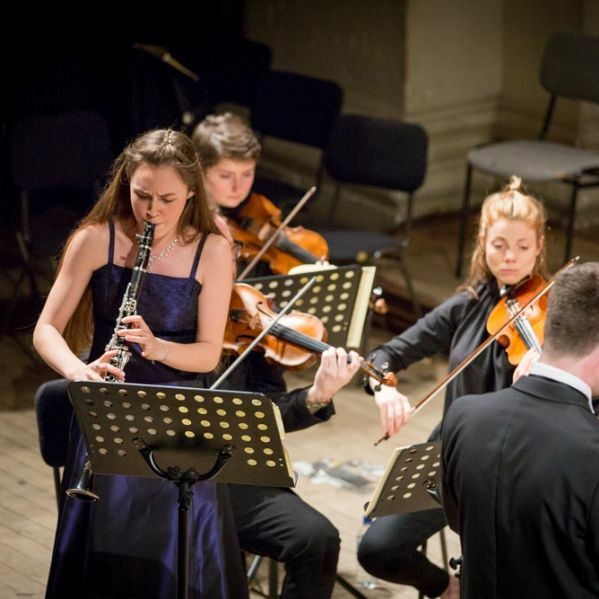 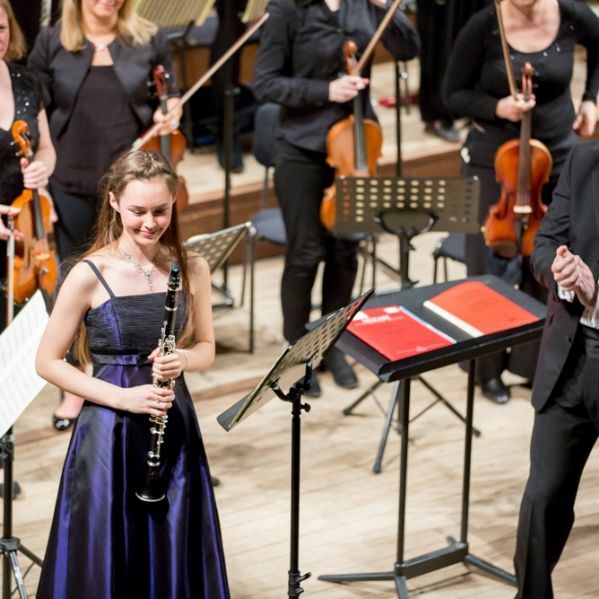 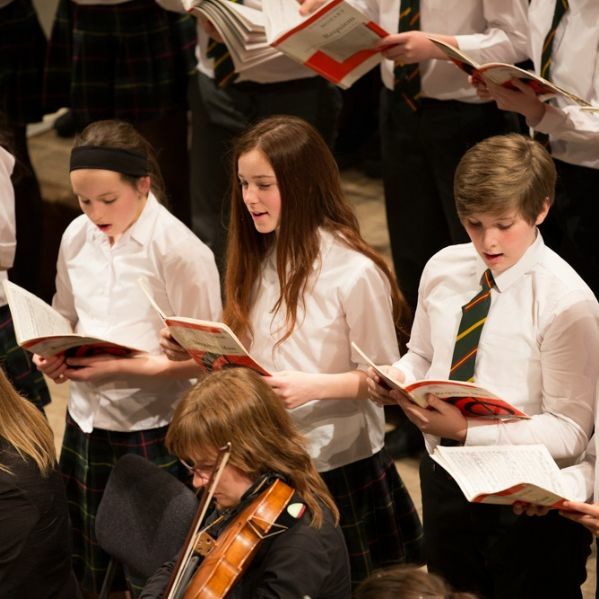 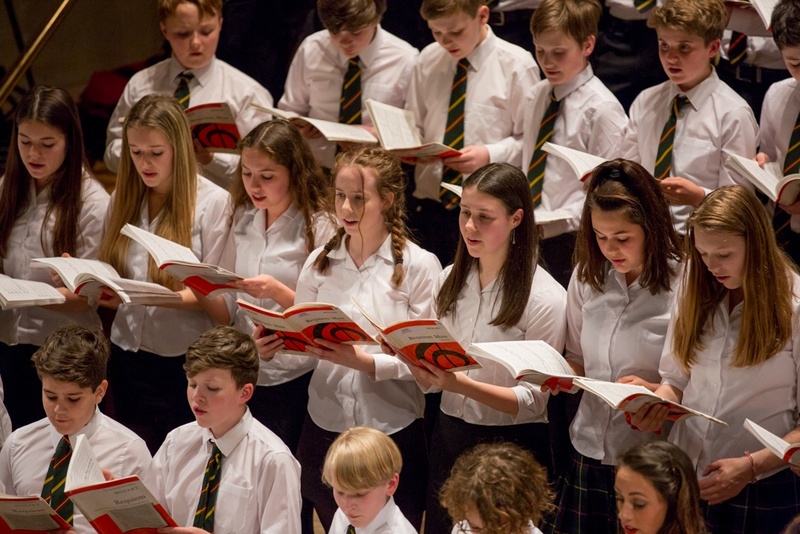 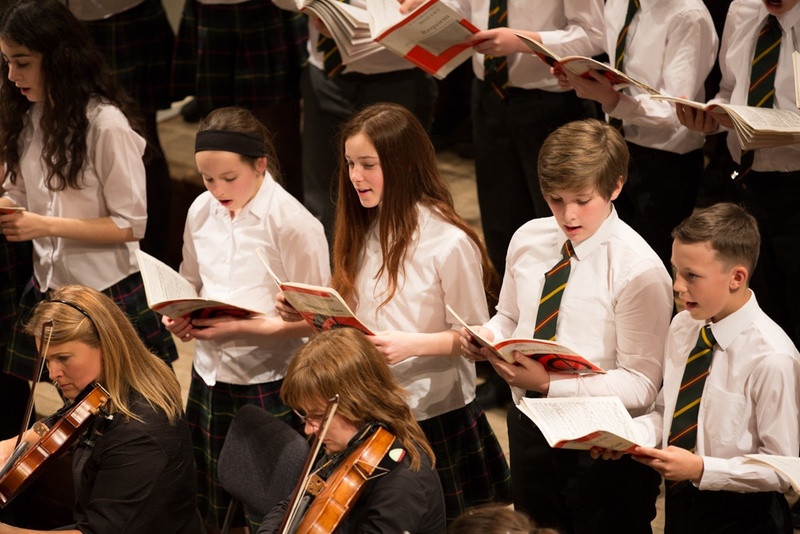 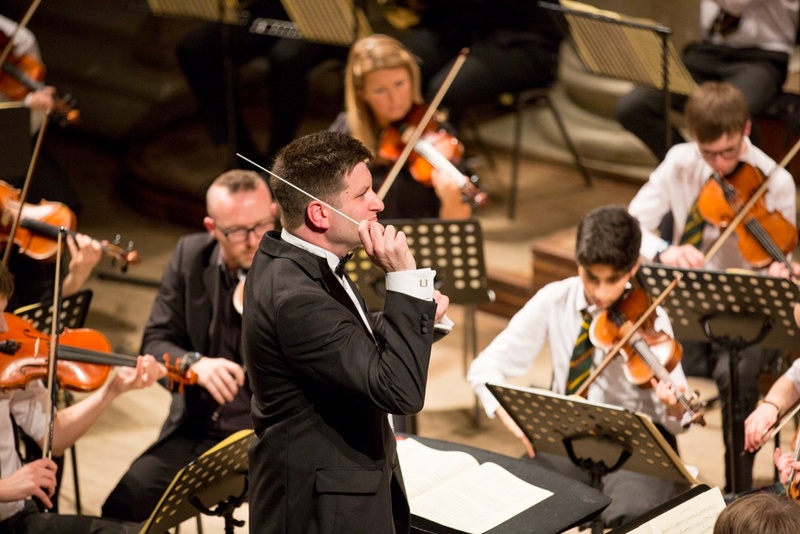 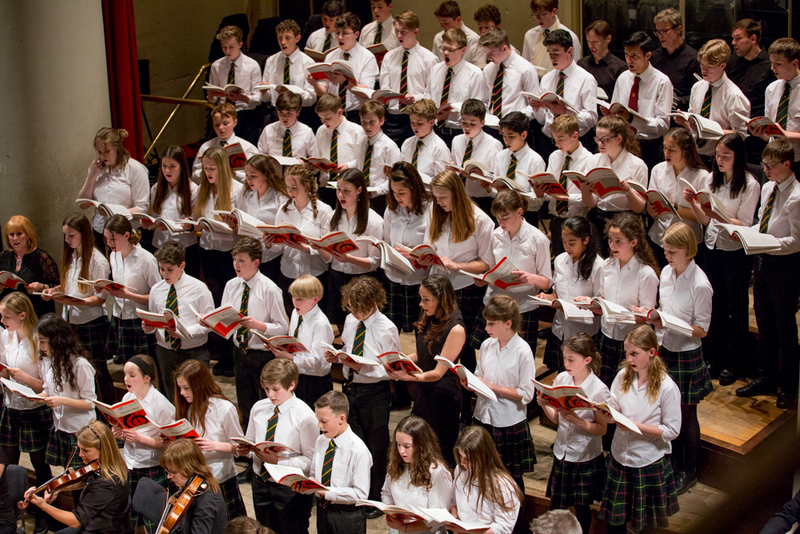 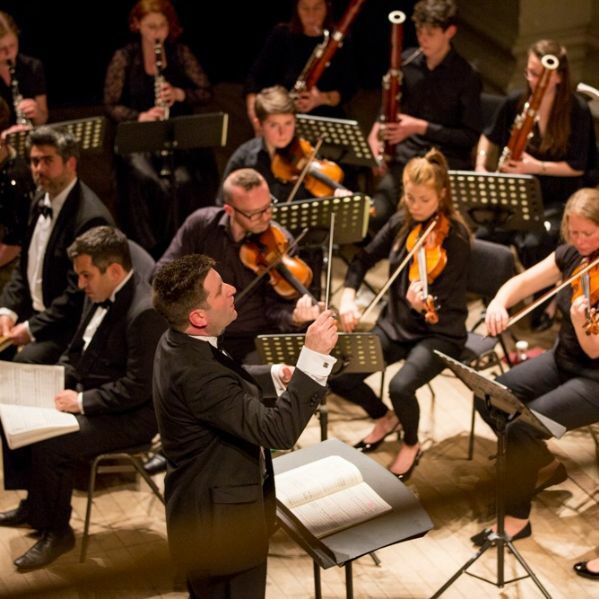 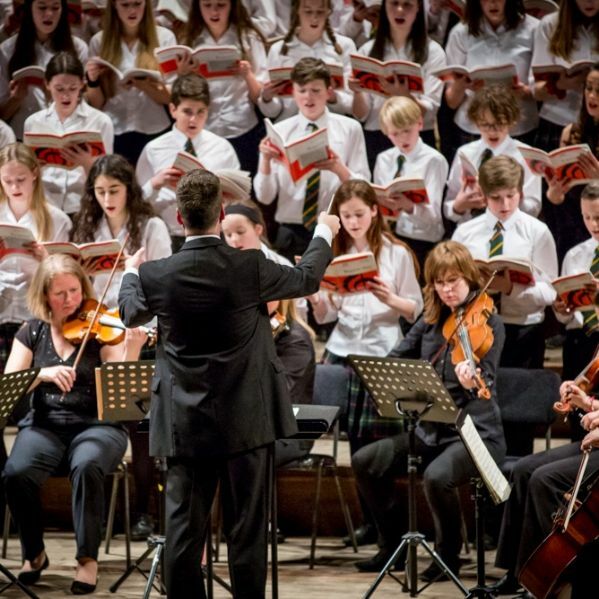 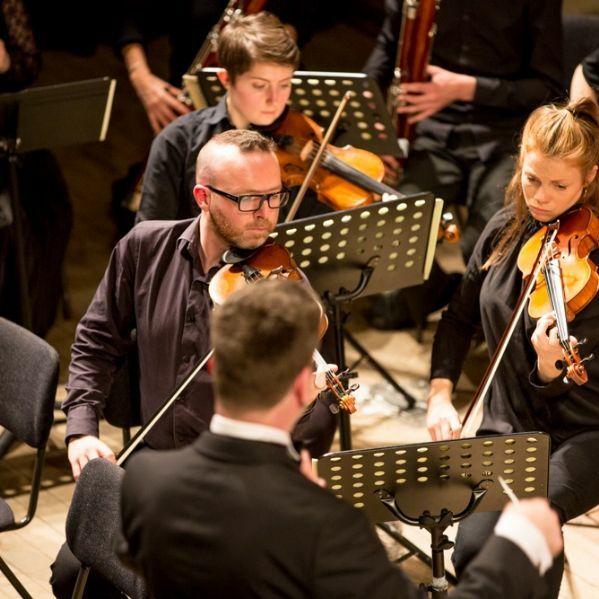 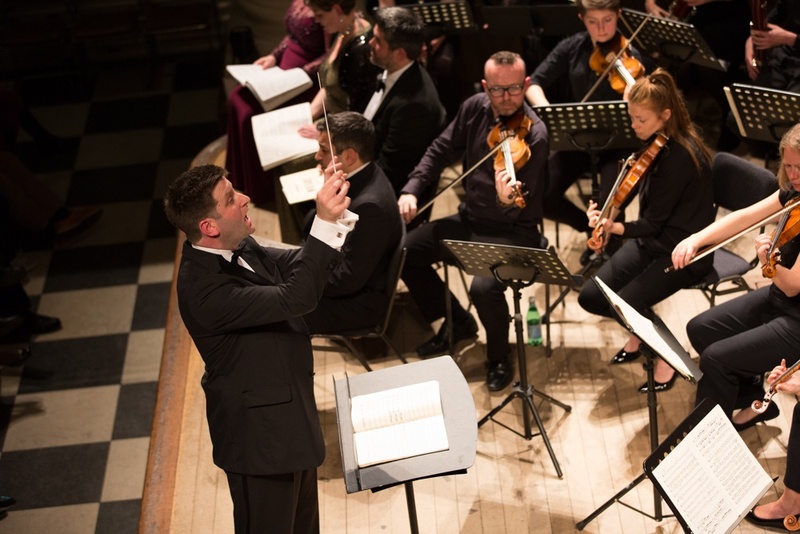 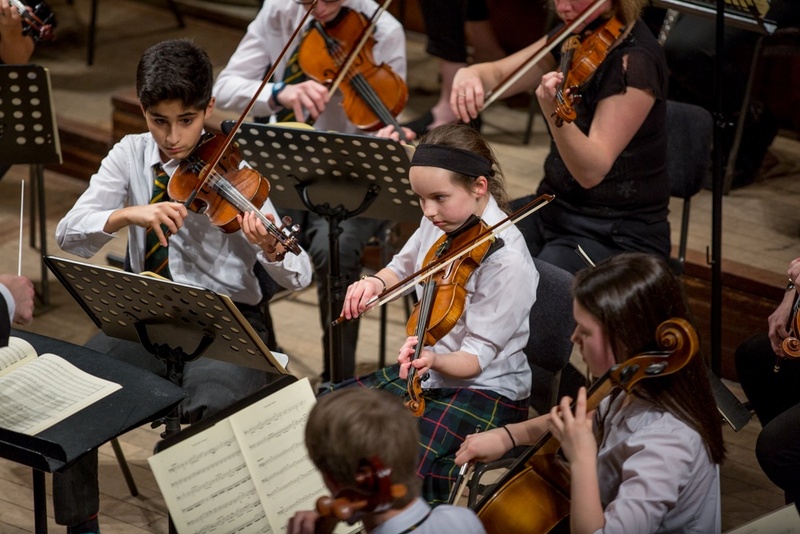 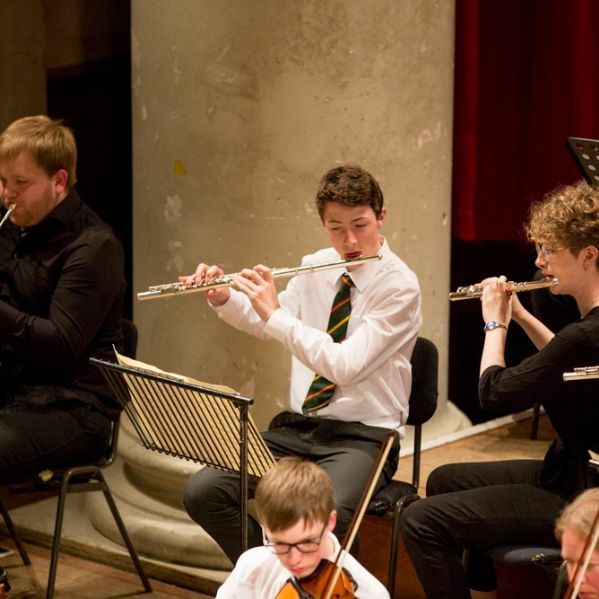 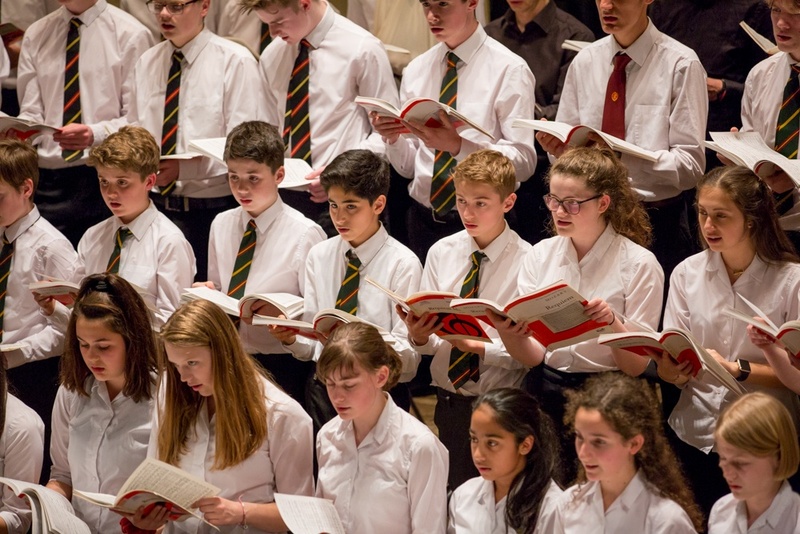 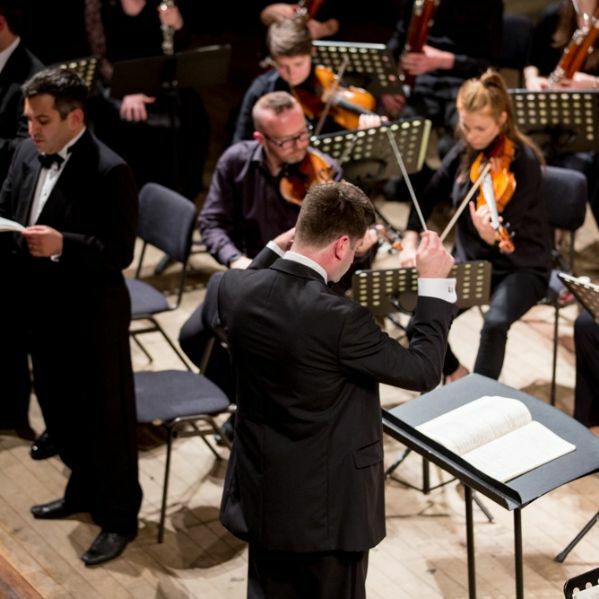 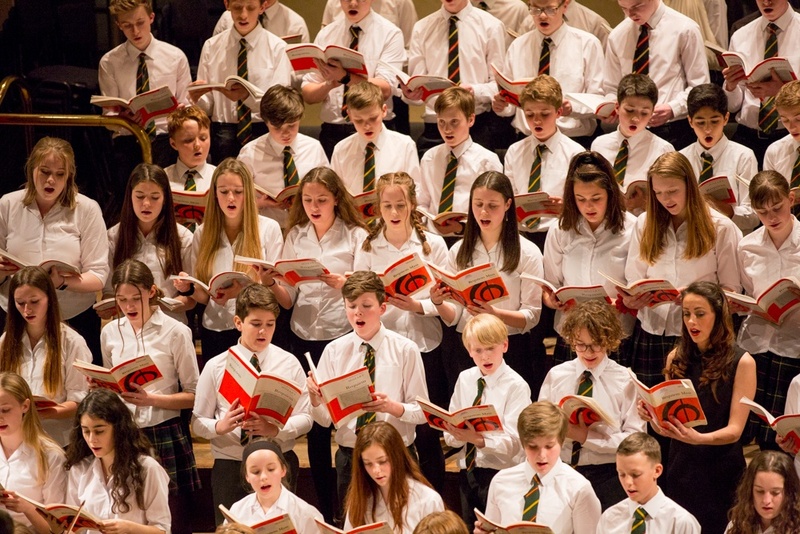 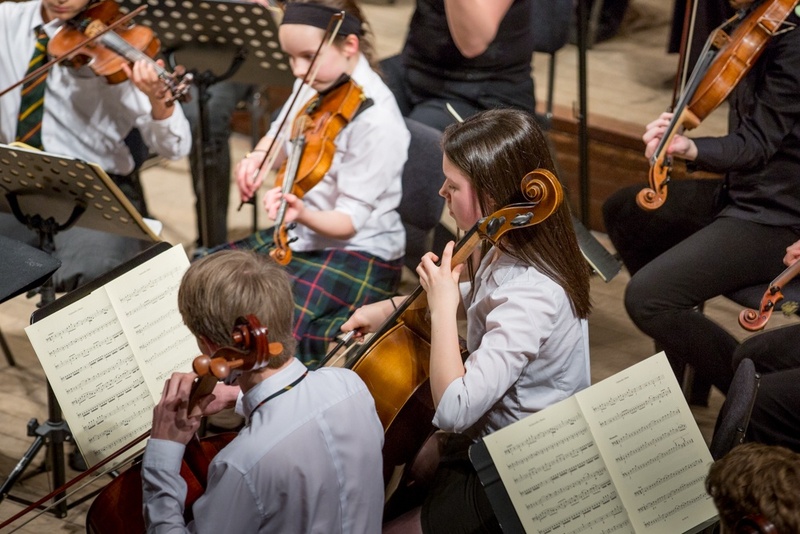 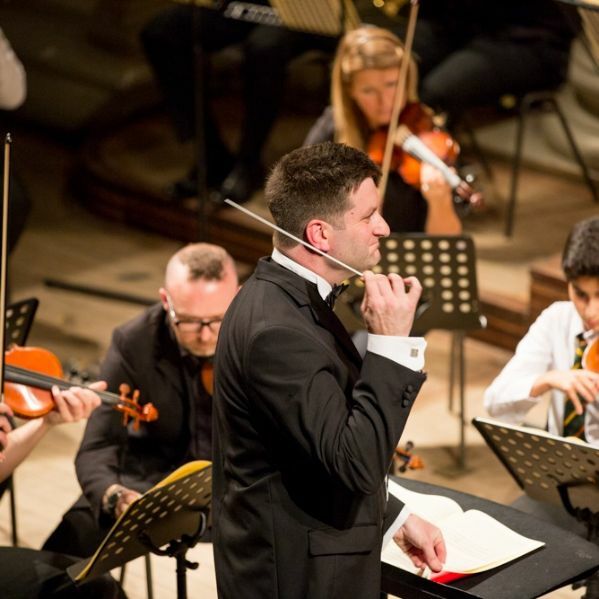 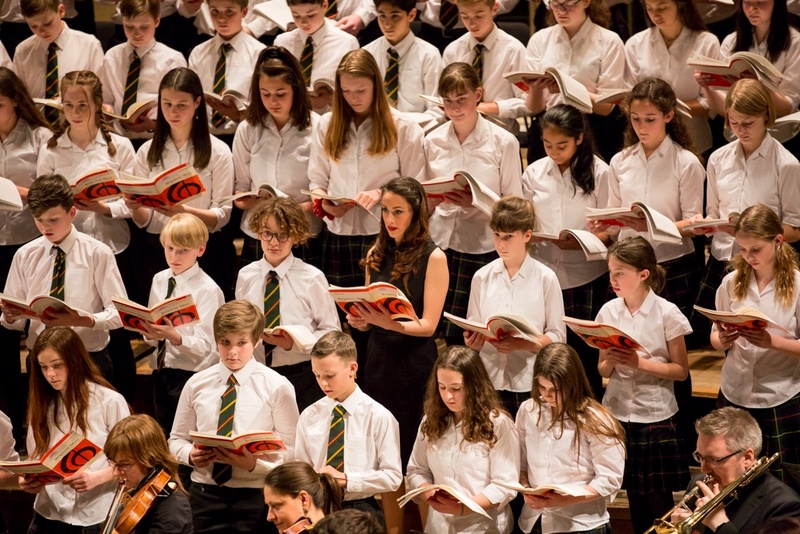 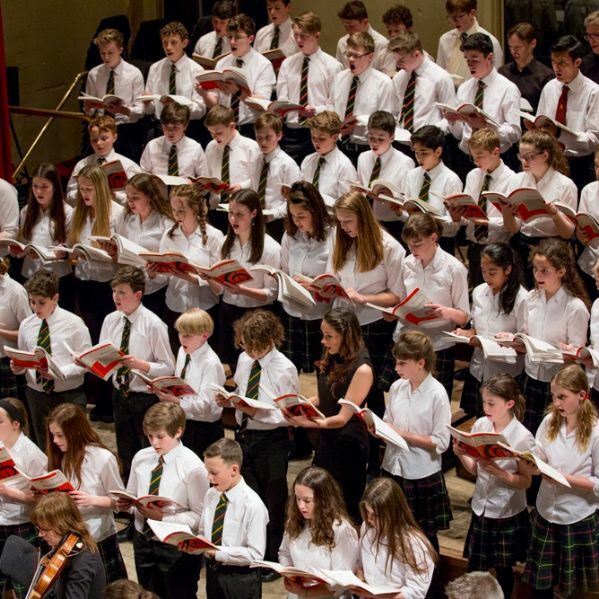 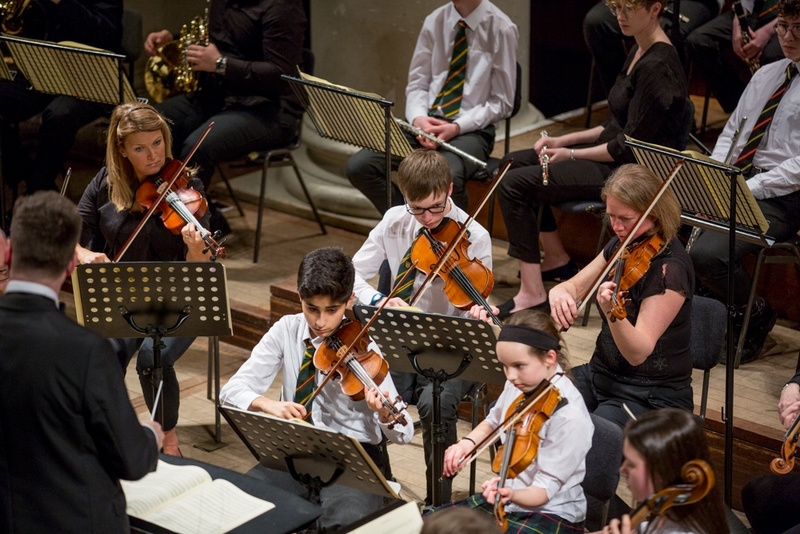 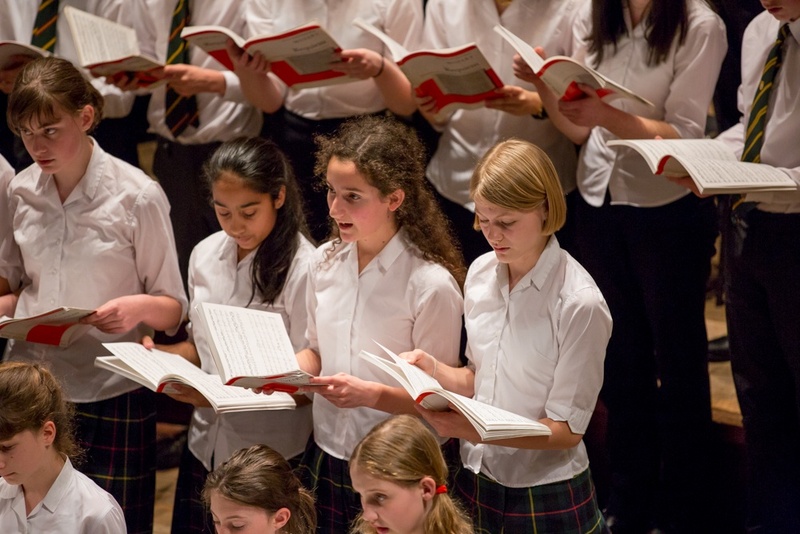 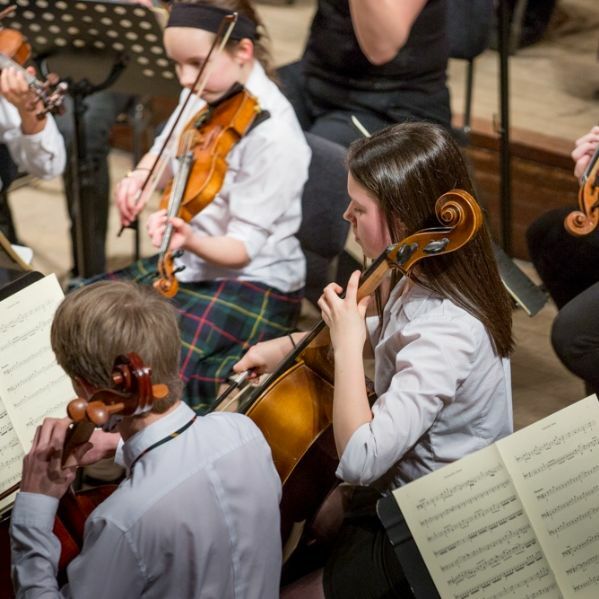 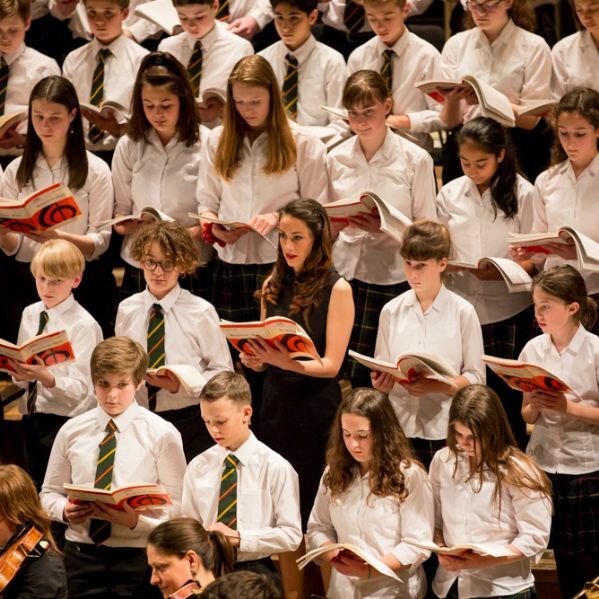 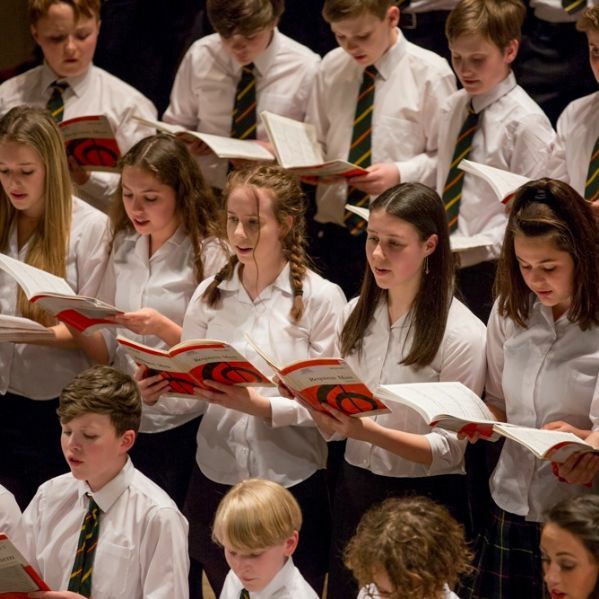 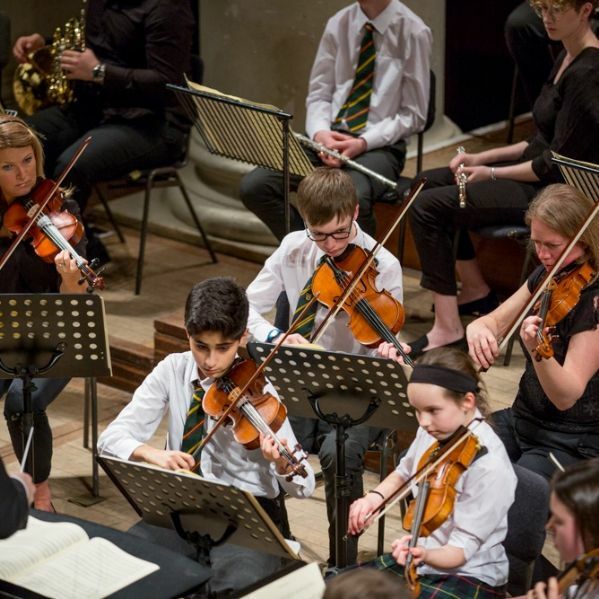 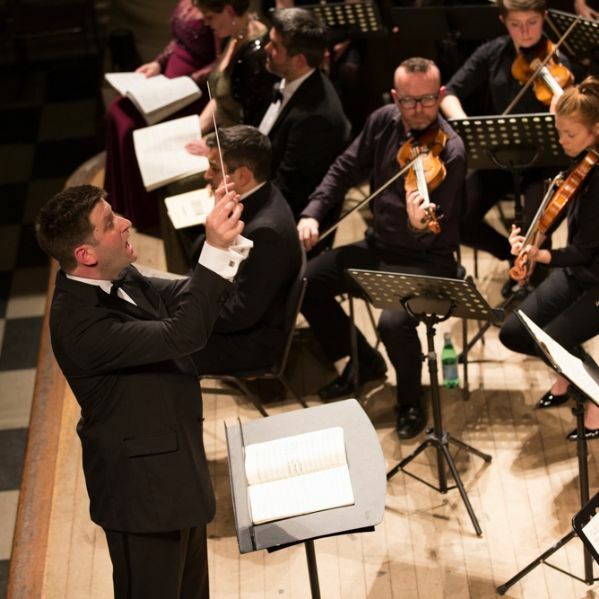 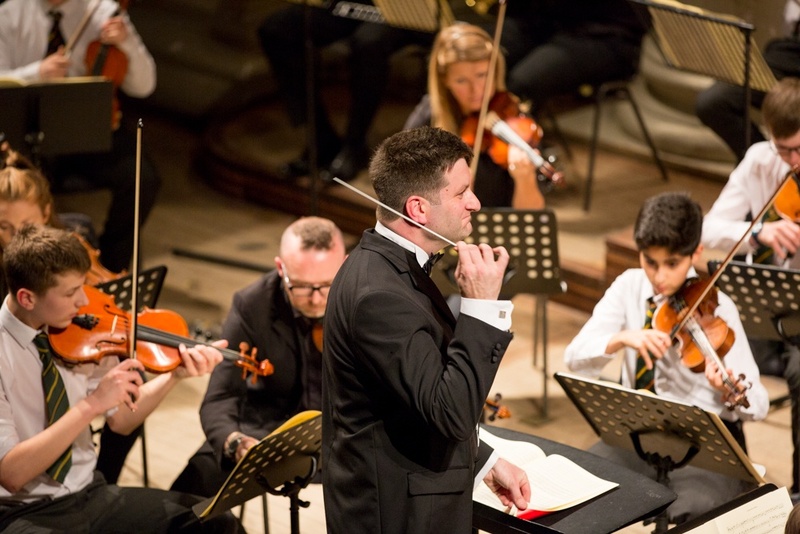 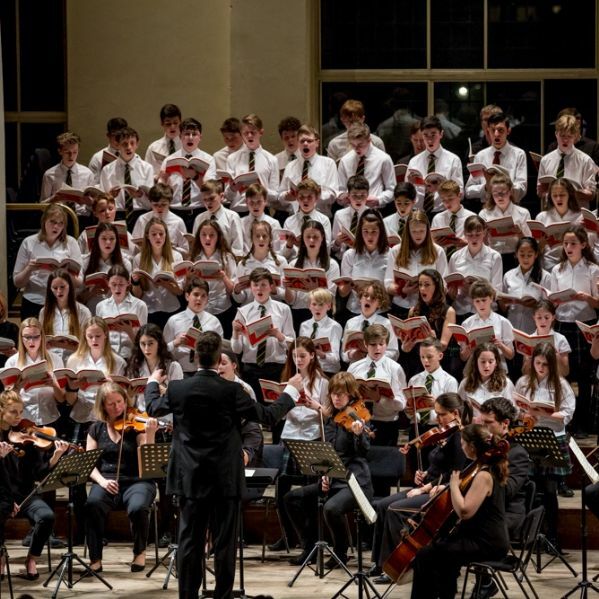 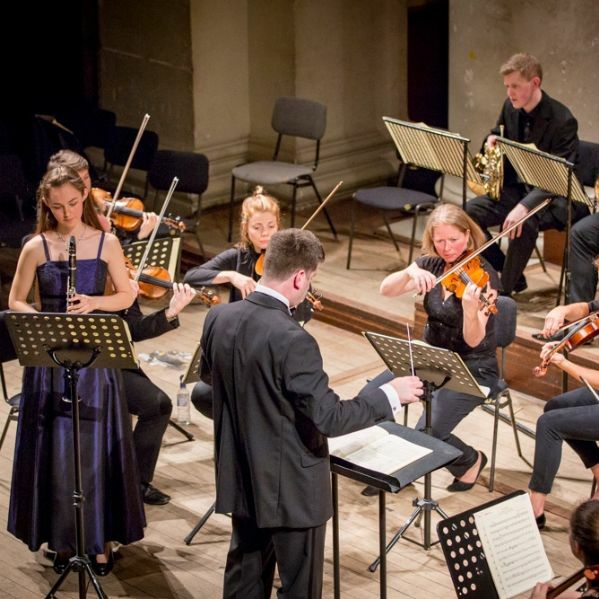 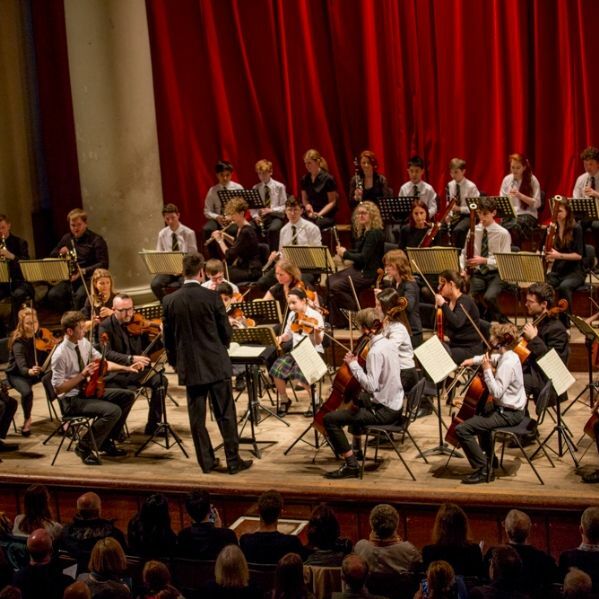 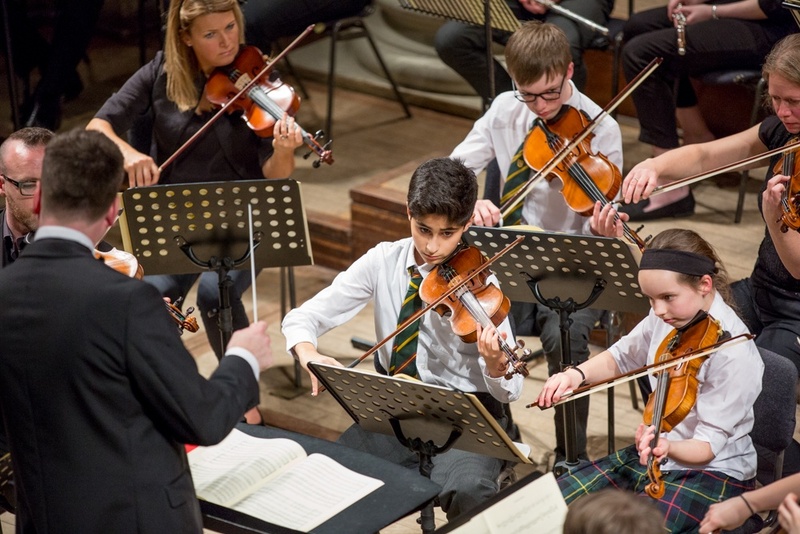 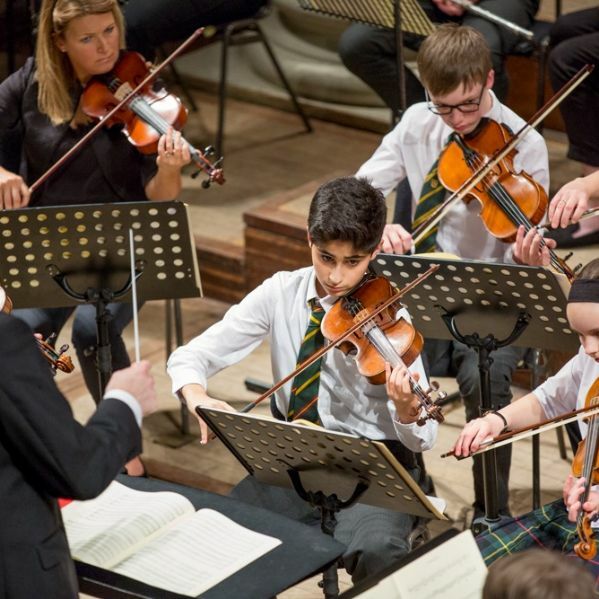 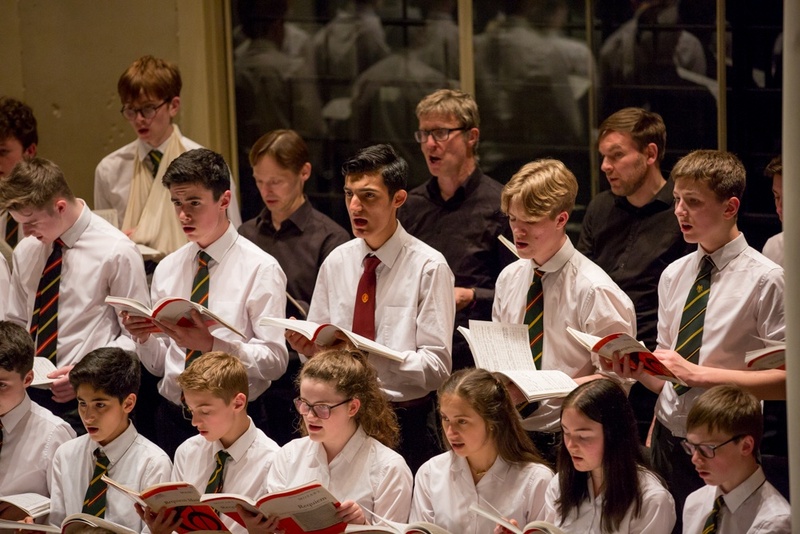 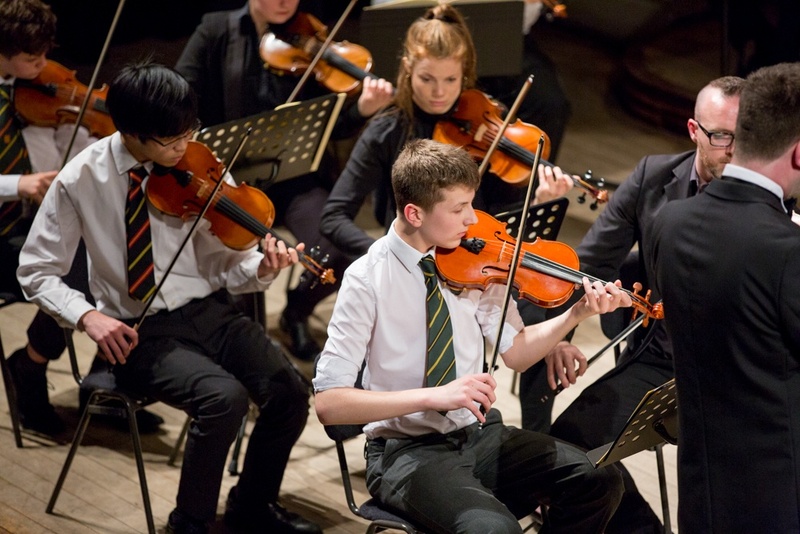 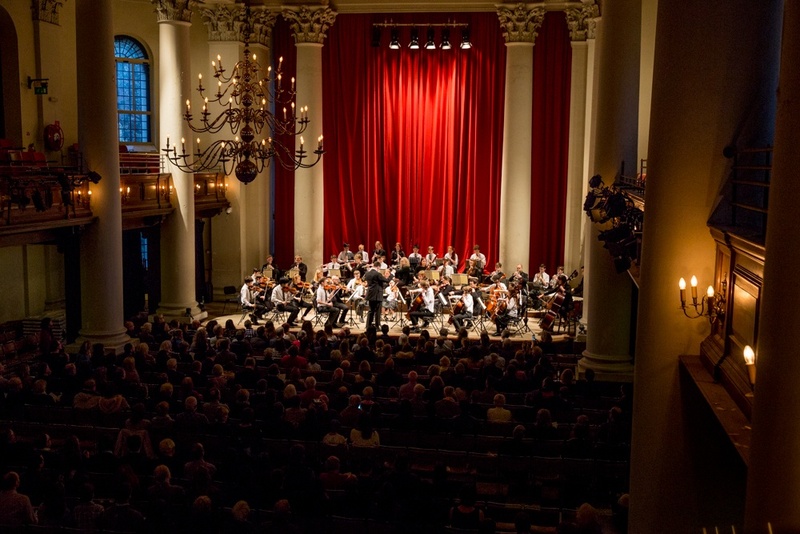 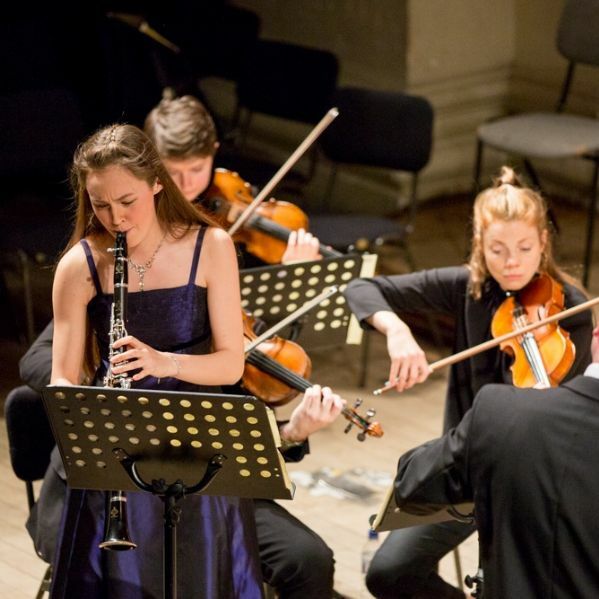 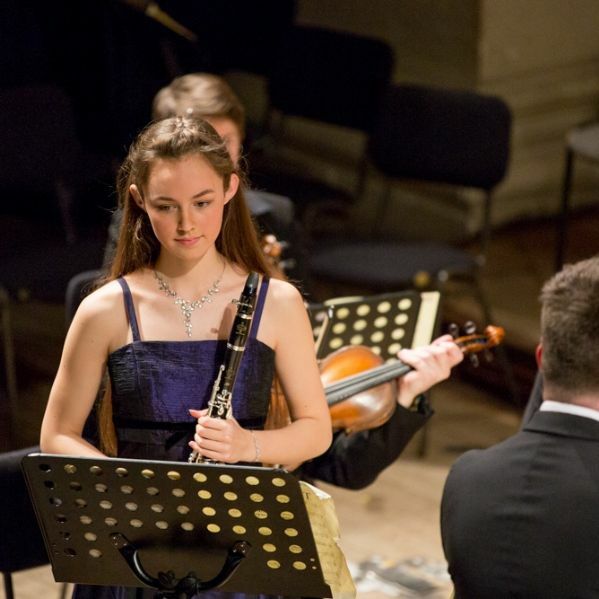 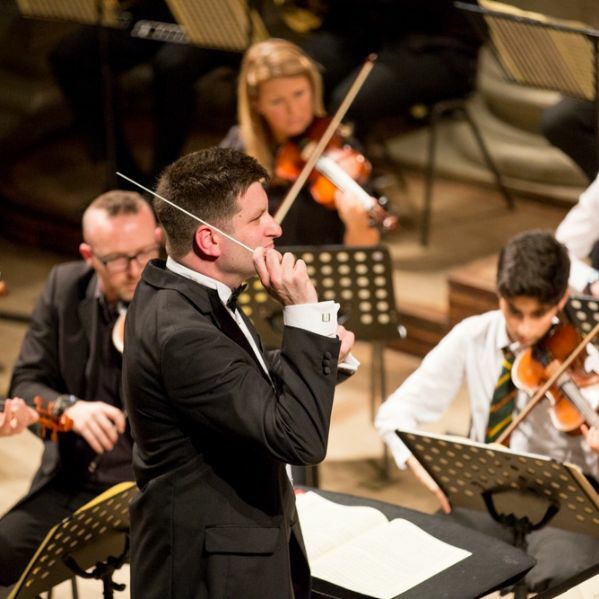 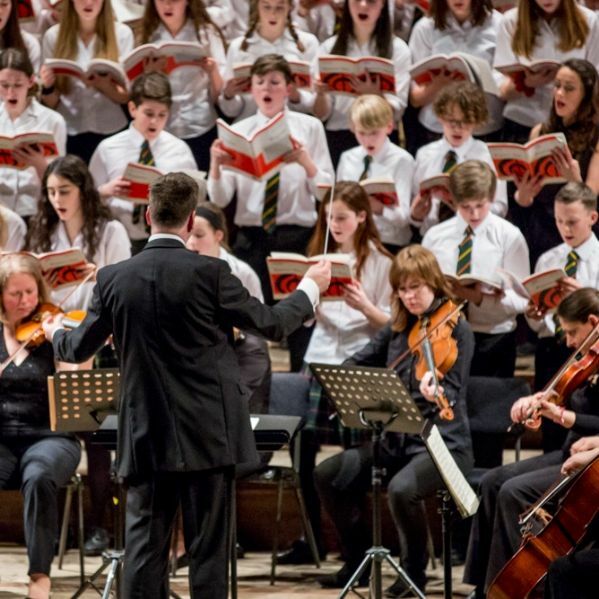 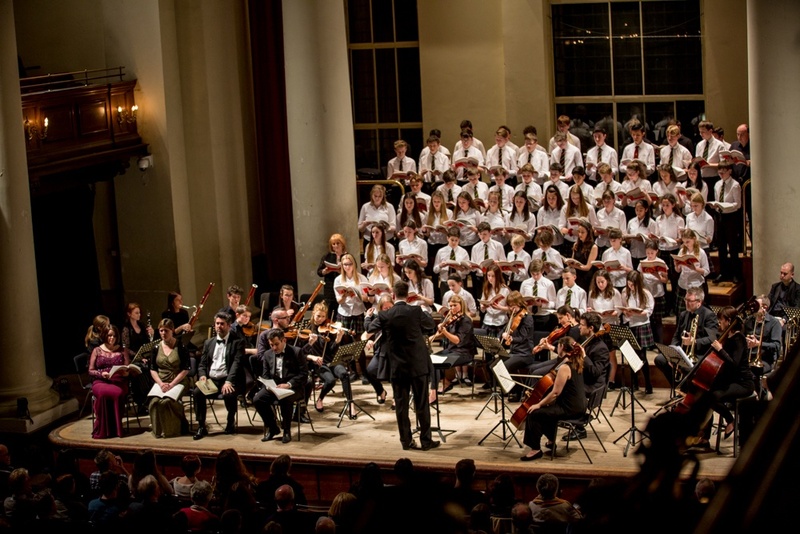 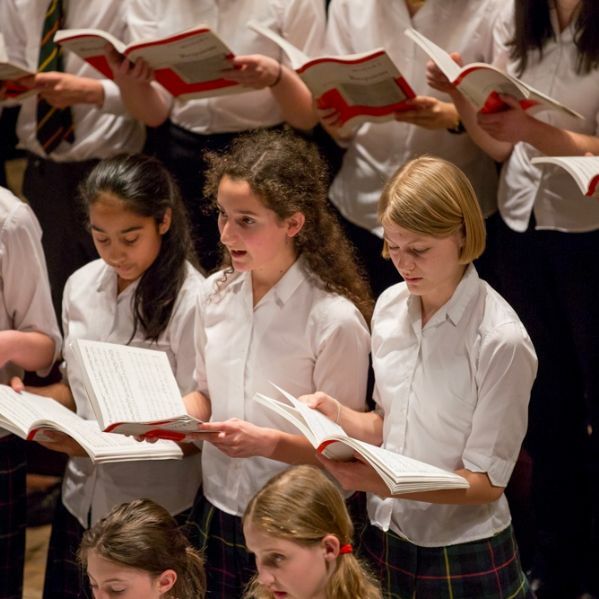 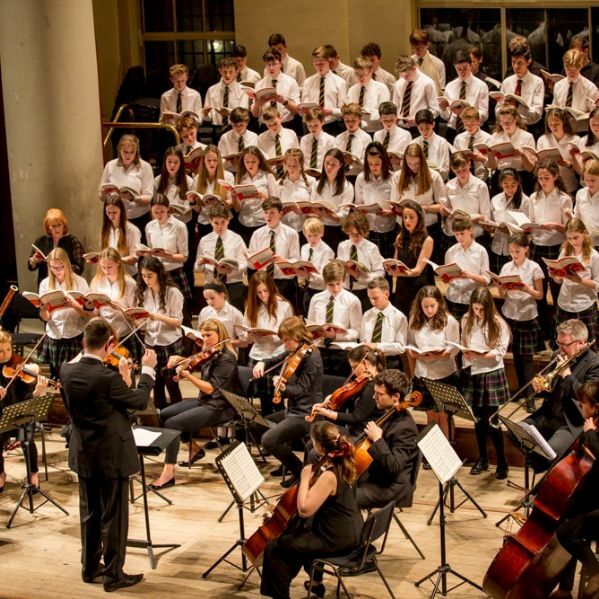 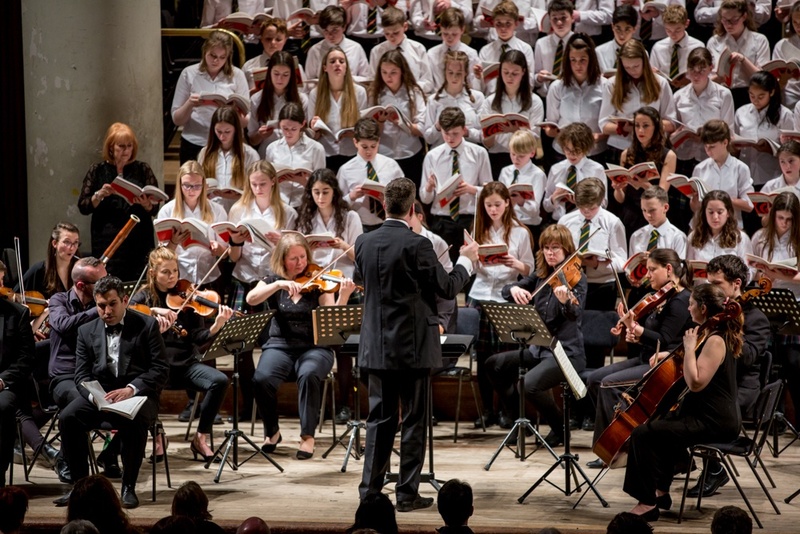 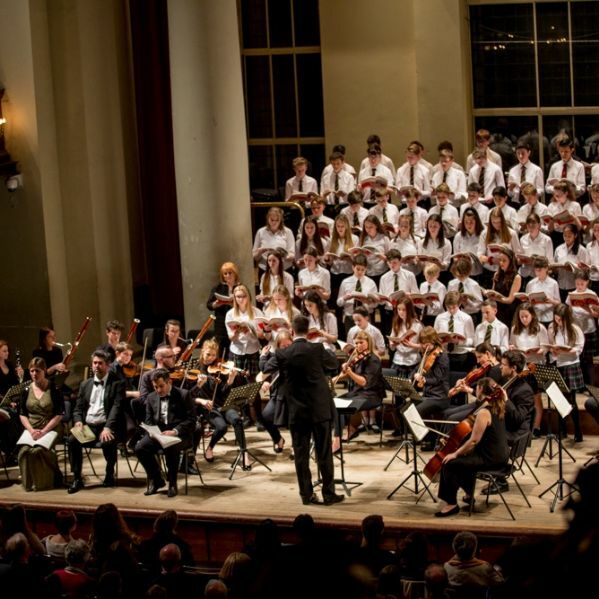 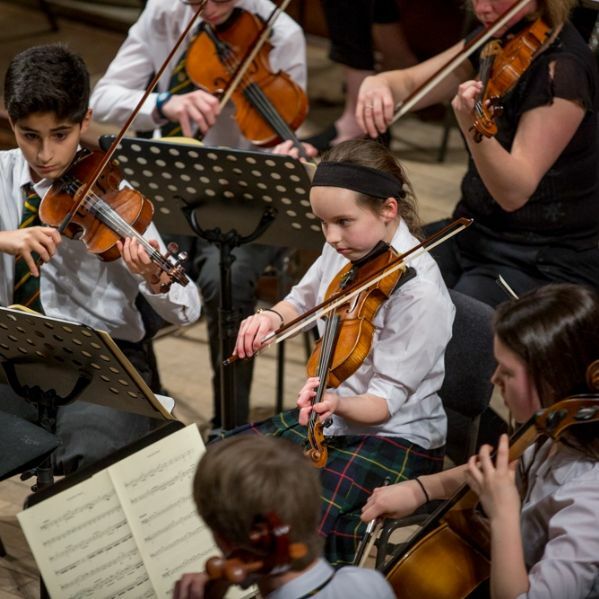 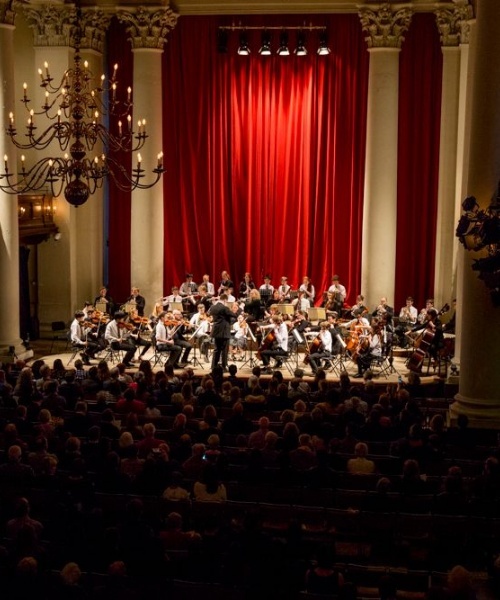 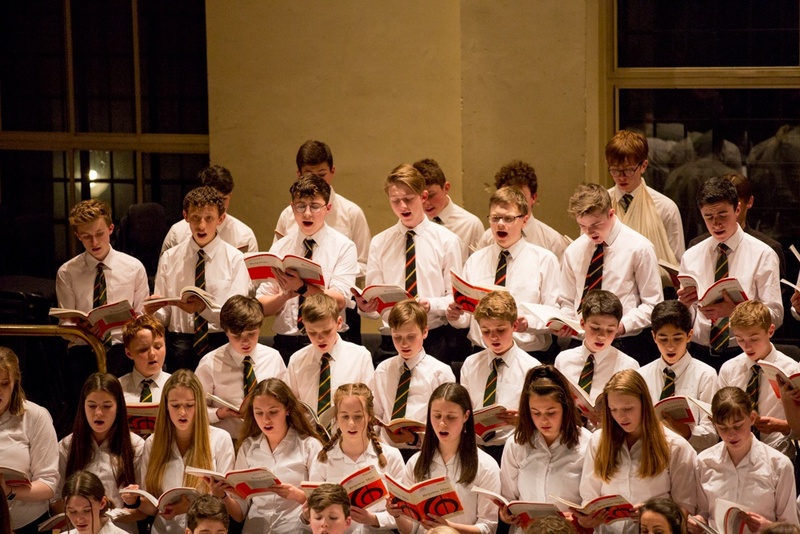 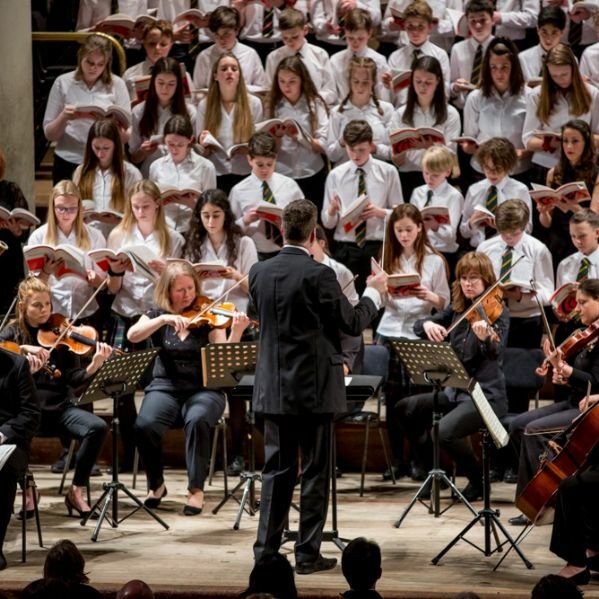 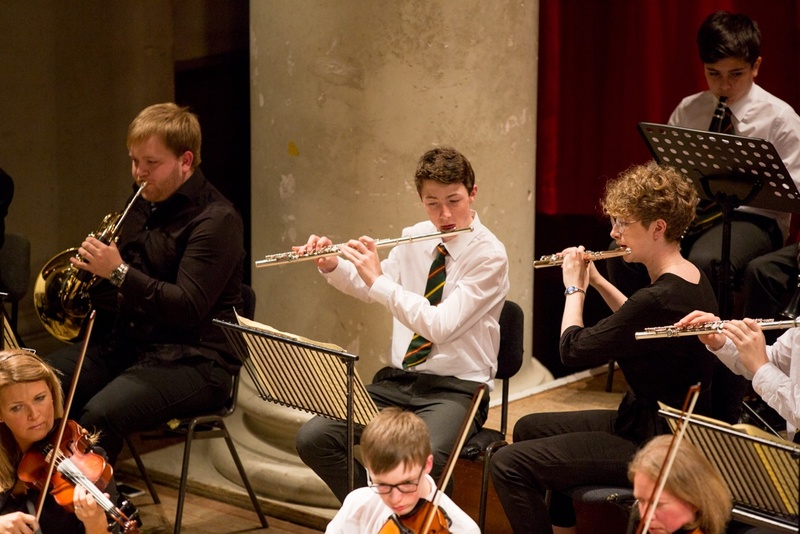 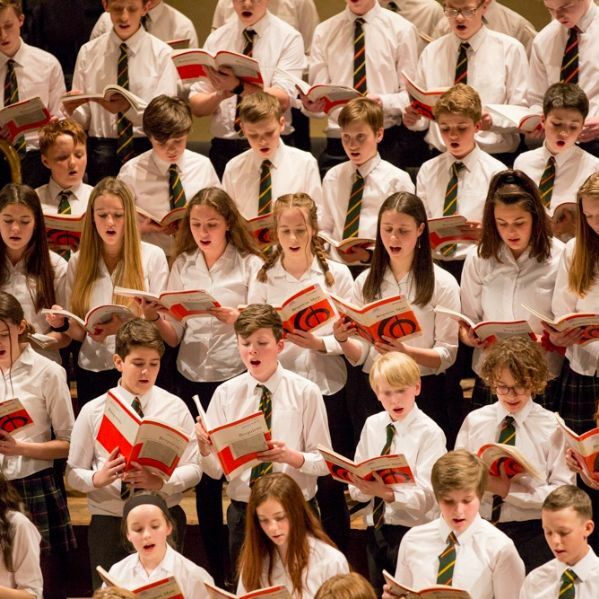 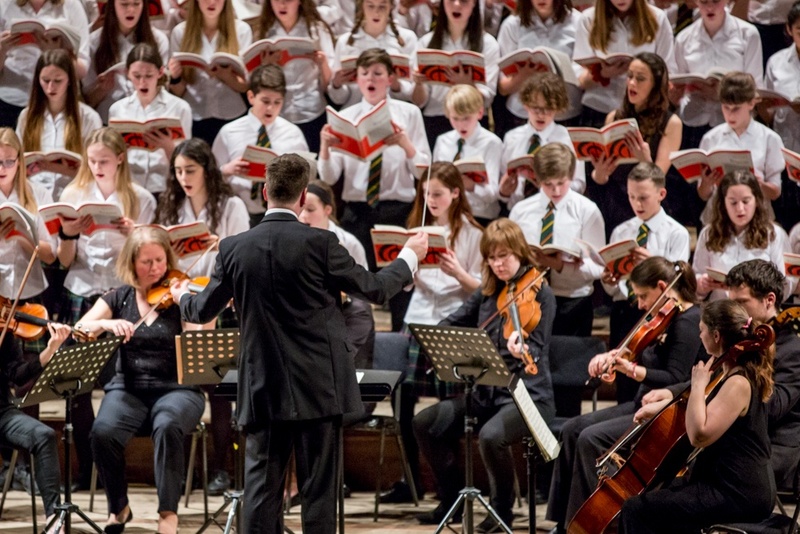 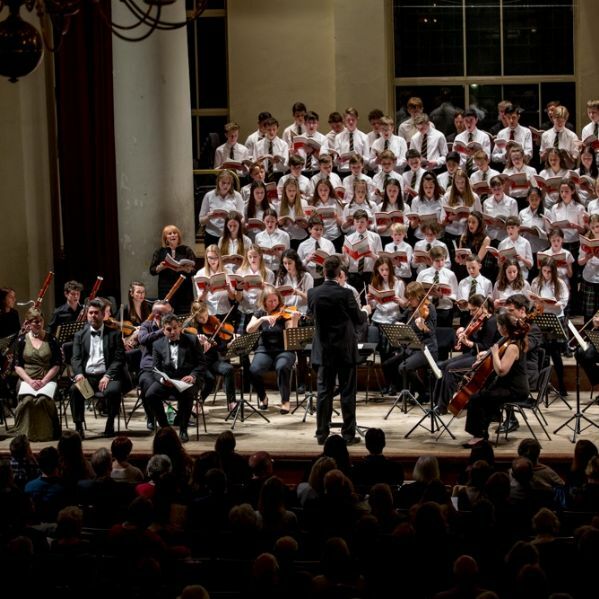 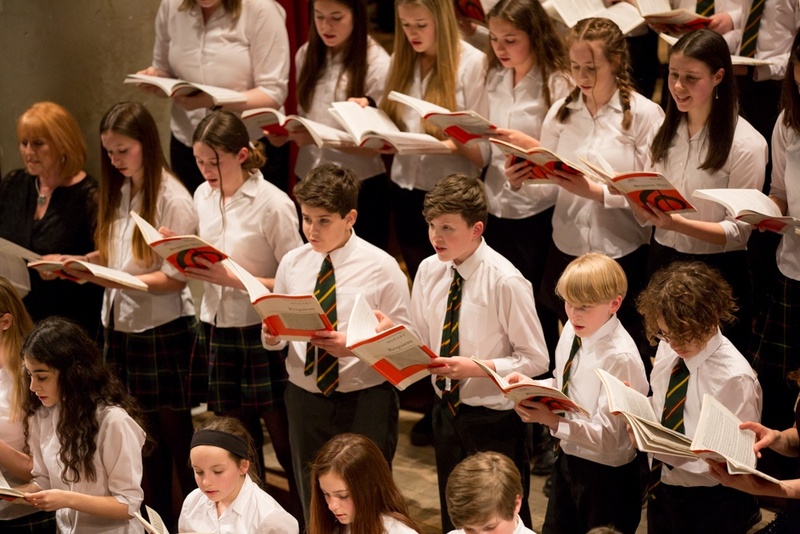 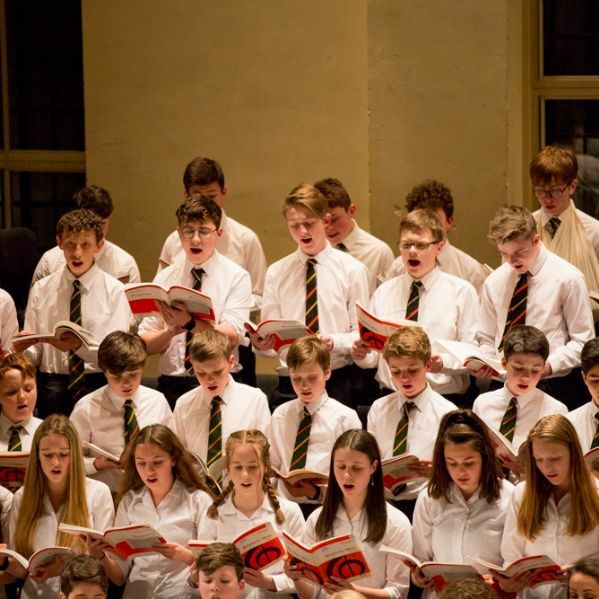 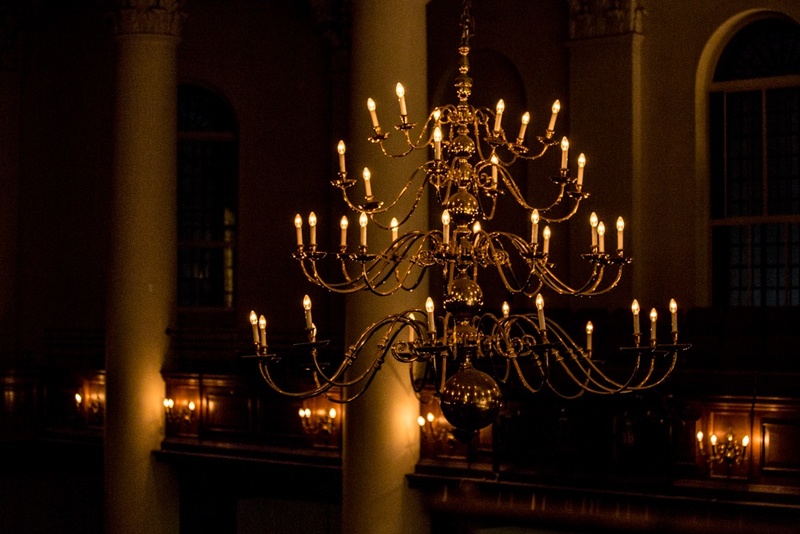 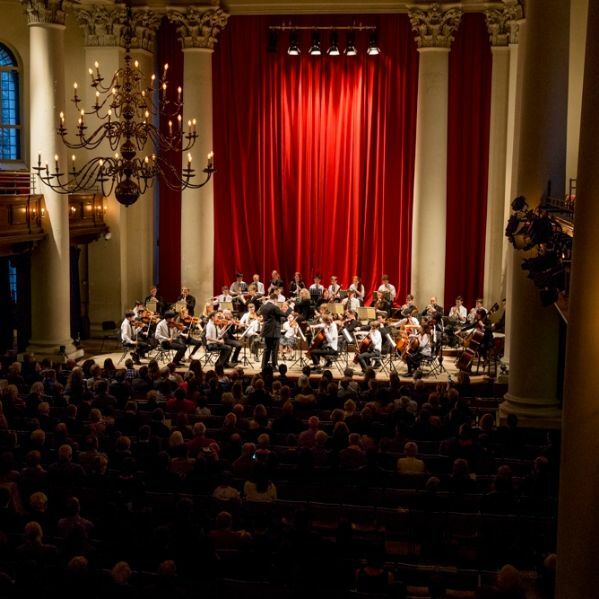 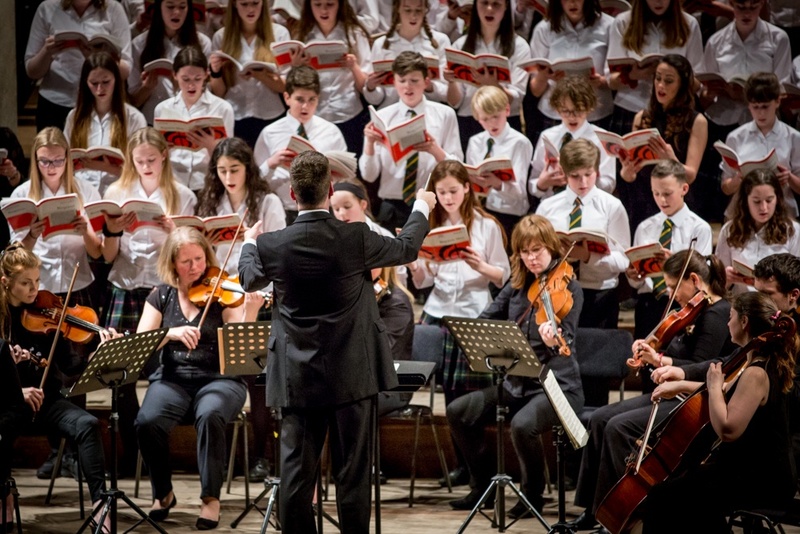 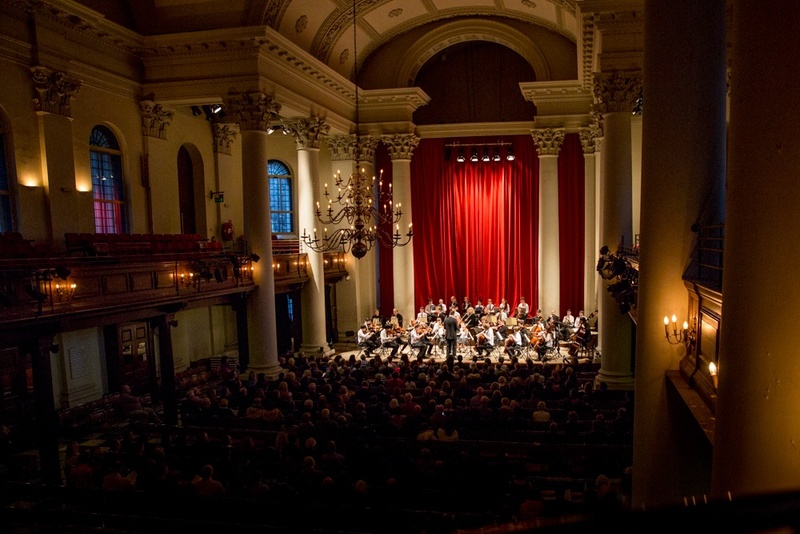 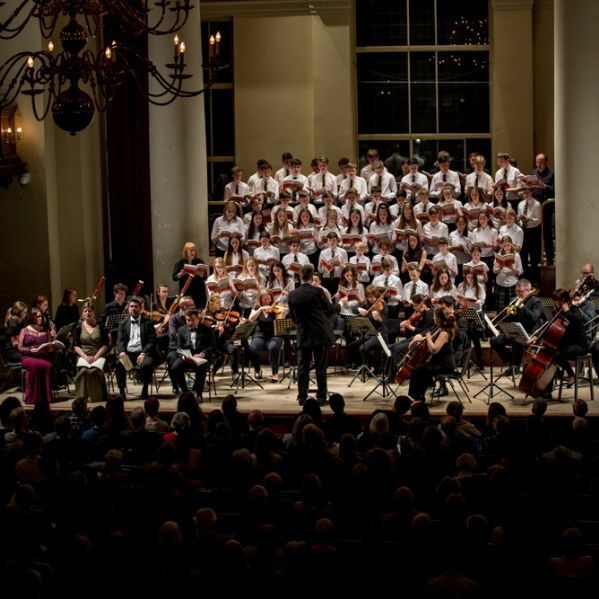 It was surely an unforgettable experience for the young singers and instrumentalists, performing some of the greatest music ever written, alongside professional musicians in one of London’s finest concert venues.